PowerFLARM Tips - by Paul Remde of Cumulus Soaring, Inc.
PowerFLARM Configuration File Generation Tools - Excellent! This is a great resource. It allows you to upload a flight log that was recorded with any FLARM unit. The tool creates a top-view range analysis plot showing the maximum distance to FLARM targets in all directions. The flight log contains data location of other FLARM units received during the flight. Flights to be analyzed must have at least a duration of 30 minutes and contact with 5+ other FLARM equipped aircraft during the flight. Only FLARM traffic data is analyzed. ADS-B and Mode C/S transponder traffic is not analyzed. In recent months, all PowerFLARM repairs were done by FLARM in Europe. That was inconvenient and costly for U.S. customers. Starting immediately, all warranty and non-warranty repairs of PowerFLARM Core products for the Americas will be handled by Cumulus Soaring, Inc. Significant investments in test equipment, tools, and spare parts have been made by Cumulus Soaring, Inc. in order to support PowerFLARM Core users. Please contact me (contact information at the bottom of this page) if your PowerFLARM core needs testing, repair, or electronic security seal reset, or logger altimeter calibration. I am very happy to be able to support the soaring community in this way. PowerFLARM Portable repairs will require shipment to Europe at this time. It is possible that will change in the future. Install and configure according to product-specific instructions. Configure your assigned aircraft address, type, and privacy needs. Verify the effectiveness of the installation and configuration after flight using the online range analyzer, then improve if required. Repeat this annually. Update at least every 365 days to avoid firmware and/or obstacle database expiration. FLARM requires good GPS reception to operate. Install the GPS antenna with unobstructed view of the sky in all flight attitudes and at least 30 cm away from any other antenna. 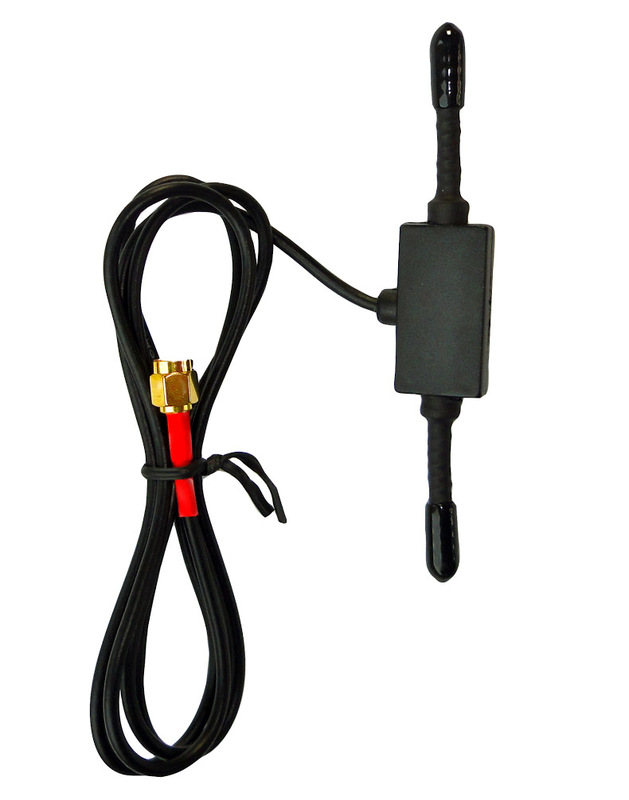 Radio range is key for early traffic warnings and depends on a good installation of radio antennas and cables. Radio signals require unobstructed line of sight; thus avoid conducting materials (metal, carbon) in any direction you want FLARM to be effective. Nearby antennas, conducting material, or cables may cause interference and/or reduce effectiveness. Keep your antennas at least 30 cm away from any other antenna, and without direct contact to your canopy. Do not use splitters for FLARM radio antennas. 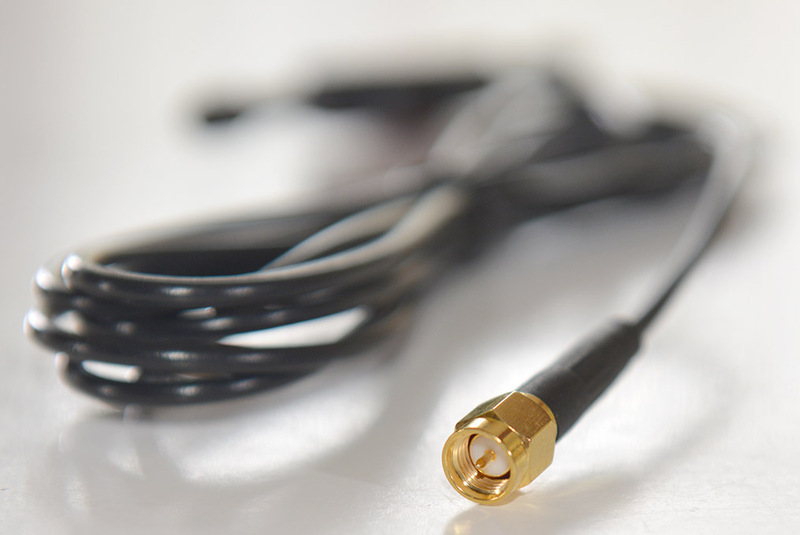 Do not shorten antenna cables, and do not bend them below specified minimal radius. 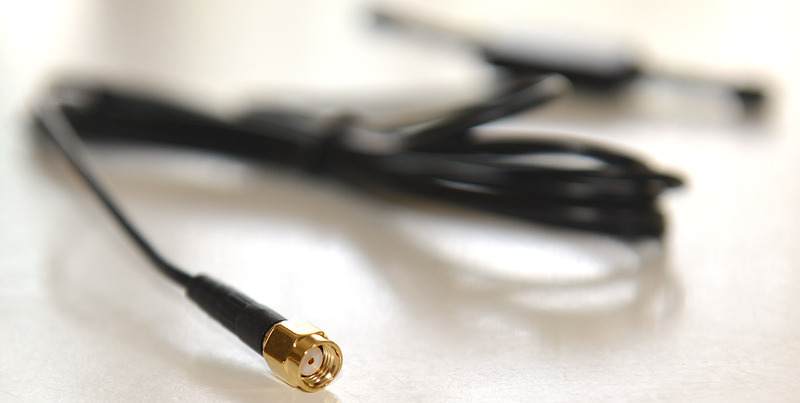 Replace defective cables and antennas. 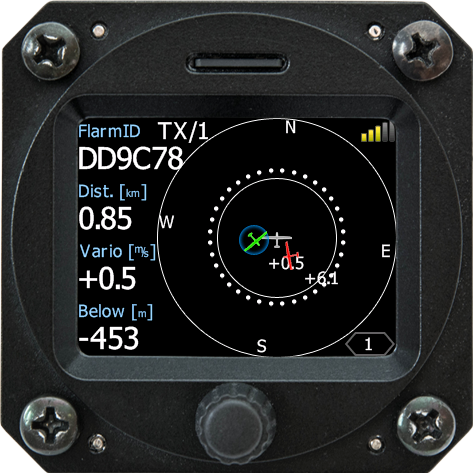 Ensure that your FLARM display communicates correctly with the FLARM device. Use PowerFLARM for better range and radio diversity. Familiarize yourself prior to the flight with your device and the technology in detail, to operate in a safe and efficient manner and know the limitations. 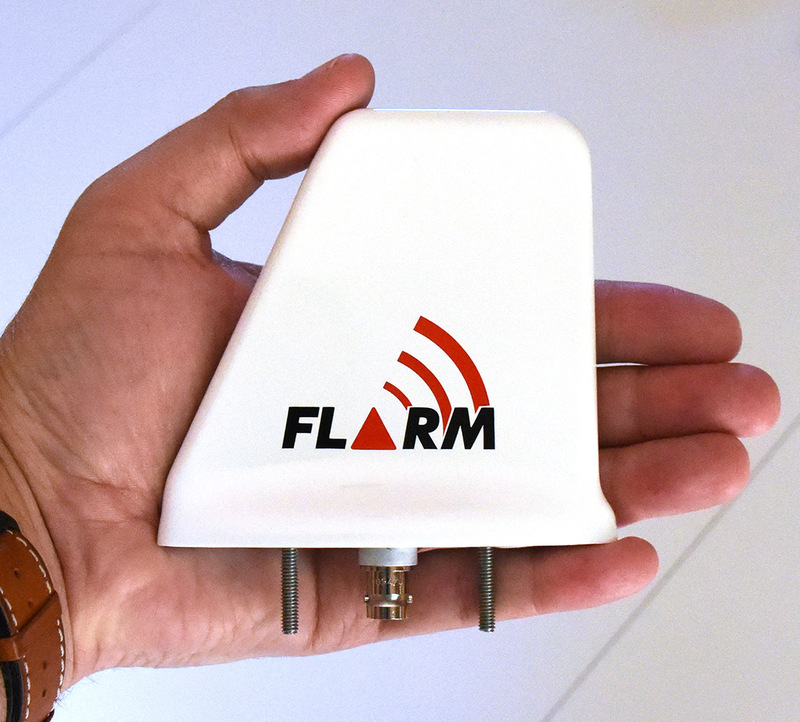 FLARM is a collision and obstacle alert system that it extremely popular (14,000+ units in service). PowerFLARM is the next generation version of FLARM. PowerFLARM alerts you to other traffic. 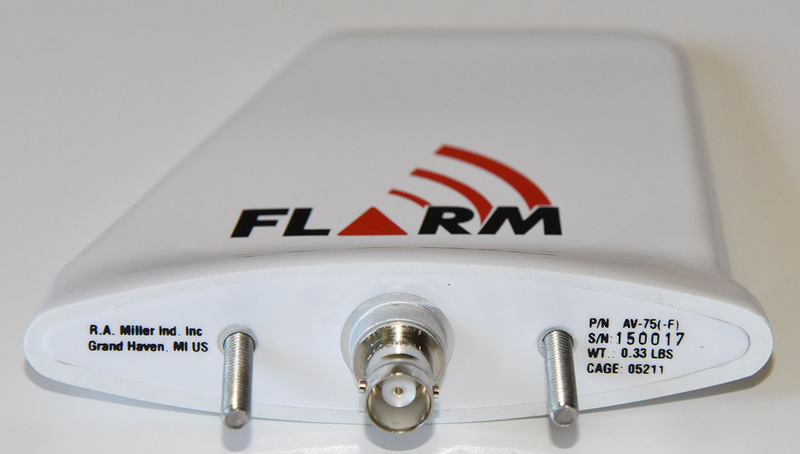 FLARM is a shortening of "Flight Alarm". 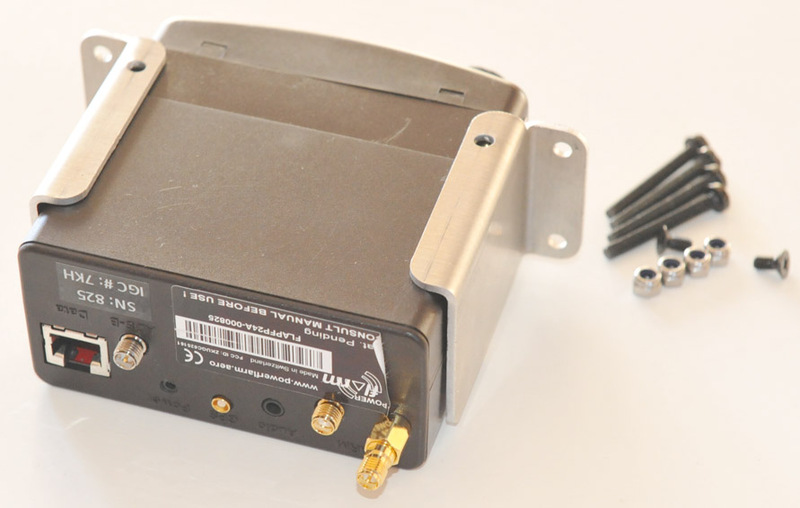 It consists of a small box with a built-in GPS, altitude sensor, low-power "FLARM" radio transmitter and receiver, ADS-B receiver and Mode C and Mode S transponder receiver. Each PowerFLARM unit transmits its position, future flight path and altitude every second over the PowerFLARM radio band. Other PowerFLARM units in the area will display traffic warning if a collision or near collision is detected. It is especially useful in crowded soaring locations such as in the European Alps, along ridges (PA and Minden) and in soaring contests. The rate at which is was adopted by sailplane pilots in Europe was astounding! After just a few years, everyone is flying with FLARM in their sailplanes. PowerFLARM is an extension of FLARM. 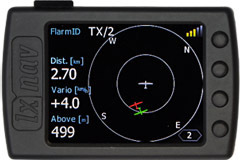 It has a longer range than FLARM units do, and also has built-in receivers for ADS-B traffic and Mode C and Mode S transponder traffic - making it more able to warn of general aviation traffic that is using either an ADS-B transmitter, or a transponder that is being interrogated by a ground radar station or nearby aircraft. 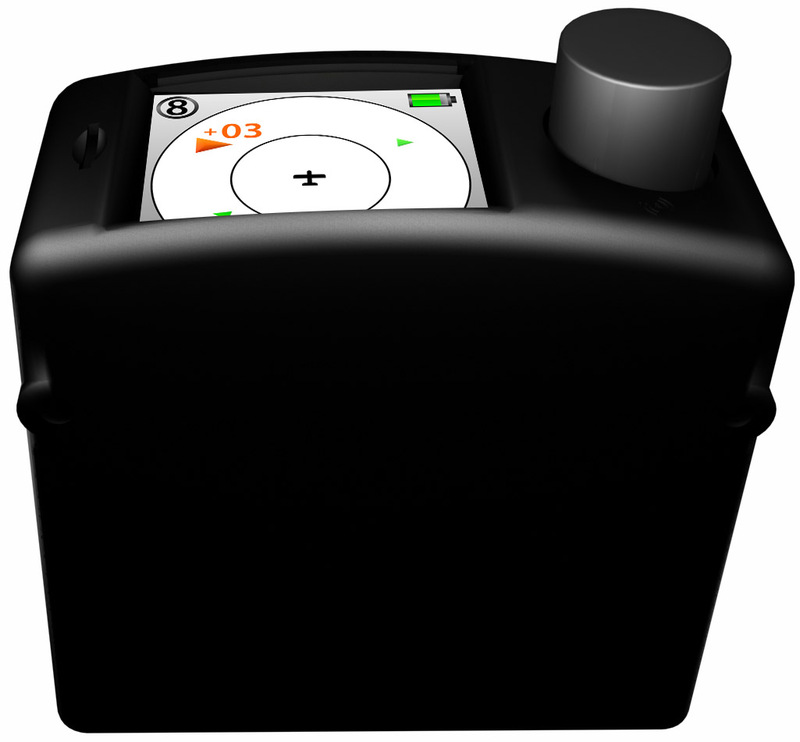 A transponder detector (similar to the Zaon MRX). If is nearby aircraft's transponder is interrogated (pinged) by a ground radar station or nearby aircraft it will respond with its altitude and other data. 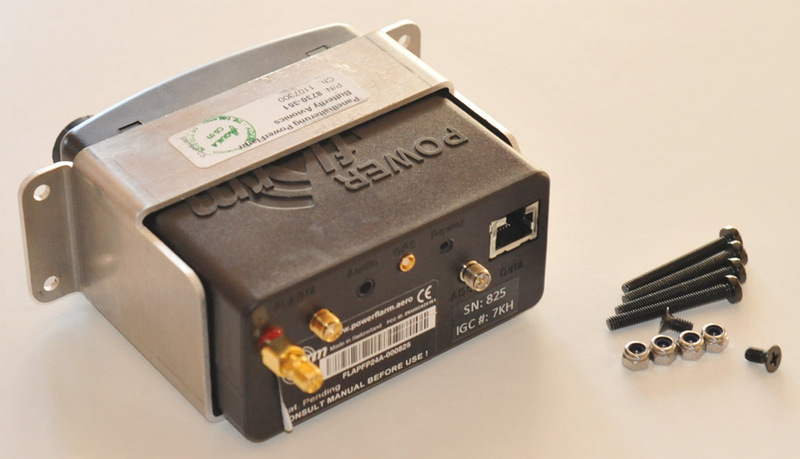 The PowerFLARM uses the strength of the signal to estimate the distance. The relative altitude of the aircraft is calculated by comparing the altitude data sent by the other aircraft's transponder and the altitude of the PowerFLARM. The direction of the aircraft is not known - only the distance and relative altitude. If you get a non-directional warning (see below) it is time to put your head on a swivel and locate the traffic with your eyes. Obstacle collision warning system - warns you of obstacles in front of you - such as radio antenna towers, ski lifts, water towers, etc. This feature will probably require an annual subscription. An IGC certified logger suitable for badges, contests, and the Online Contest (OLC) - Note: The standard unit does not have Engine Noise Level recording enabled. It can be enabled by purchasing an upgrade key. Also, the unit does not include an altimeter calibration sheet. I can calibrate it for you for $75. 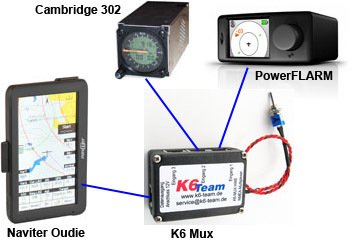 A serial output, which can provide traffic enriched GPS data for a flight computer, PDA or transponder. - Orange symbols: more hazardous traffic, relative altitude is depicted above or below the symbols, +03 means 300 feet above and so on..
- Not all received traffic is shown, only relevant FLARM- or ADS-B targets and Mode C/S transponder targets. Traffic that is outside the horizontal and vertical range limits is not shown. A possible collision with other FLARM equipped aircraft is detected. In this example screen there are 2 aircraft at your 11 o'clock position and higher than you. 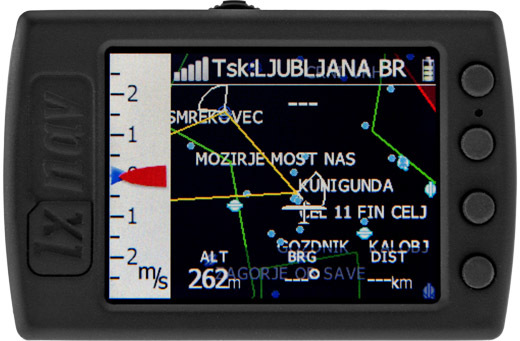 This screen is available on remote FLARM displays from Butterfly and LXNAV, but not on the PowerFLARM Portable's display. A possible collision with a Mode C or Mode S transponder target is detected. Relative altitude and approximate distance are shown. The red circle around the aircraft-symbol pulsates. This graphic indicates the threat is 200 feet higher then you and approximately 1.2 miles away. Since the direction to the target is not known, it is time to put your head on a swivel and locate the traffic with your eyes. A possible collision with an obstacle ahead is detected. Later version might incorporate more detailed obstacle positions in the warning screens, at the moment the PowerFLARM only warns of obstacles on track - such as radio antenna towers, ski lifts, water towers, etc. This feature will probably require an annual subscription. Since multiple PowerFLARM units are required in an area to get any benefit, group discounts are available for pilots flying from a specific soaring site. The orders must be paid for with a single check and shipped in one shipment to a single address to qualify for the discount. Free shipping is included for all orders of 5 or more units. 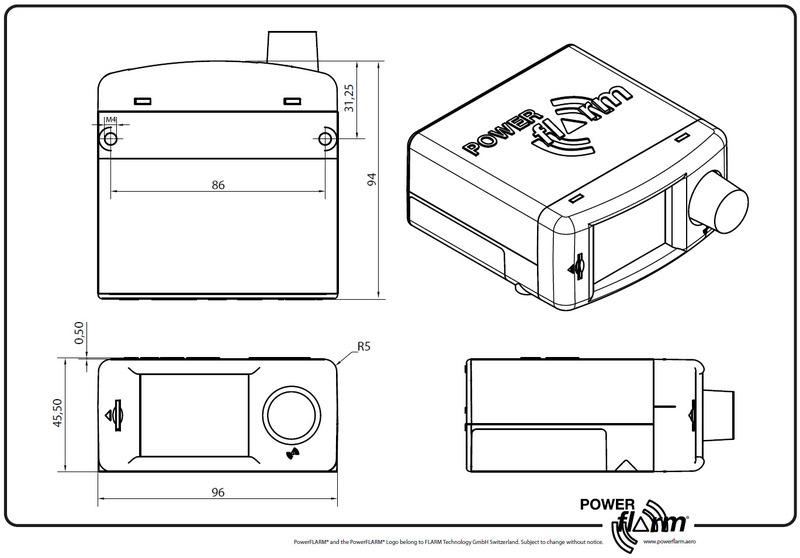 PowerFLARM units will be delivered without a calibration data sheet for the logger's altimeter. I normally charge $75/each for that service, but I will charge $50/each for units ordered in batch orders. The video below is a simulation showing what FLARM units would have displayed in the gliders which were involved in a mid-air collision near Parowan, UT during the 2010 U.S. Sport Class Nationals. One of the gliders suffered significant damage but fortunately, neither pilot was injured in the collision. As the video shows, had they both been equipped with FLARM technology, the accident would have certainly been avoided. 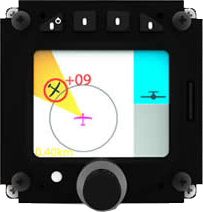 PowerFLARM units also include an IGC approved GPS flight recorder for flights up to and including diamonds (but not national or world records). If no one in your area is using FLARM yet - you still have a very nice IGC approved flight recorder along with the ability to display ADS-B and Mode C and Mode S transponder traffic. The PowerFLARM unit can also supply GPS data to your PDA. Then, when other local glider pilots start using PowerFLARM, or you are flying in a soaring contest with PowerFLARM users, you will be PowerFLARM equipped and ready for dramatically enhanced safety. 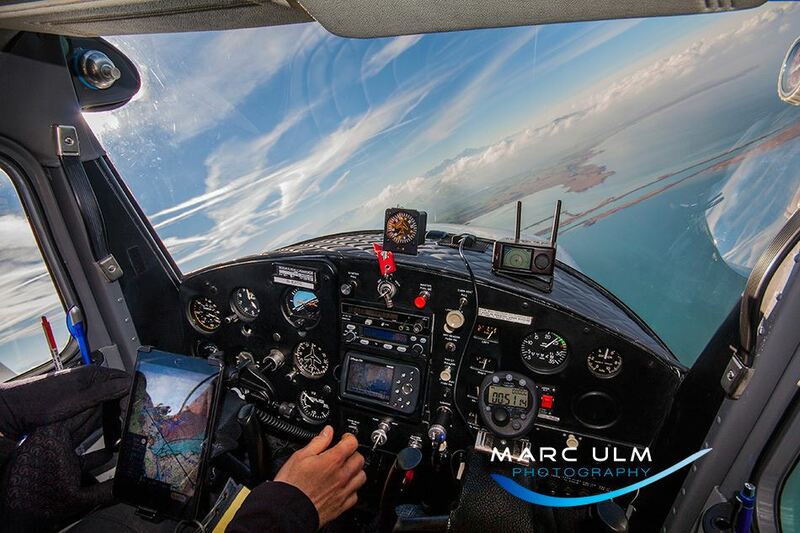 Most soaring flight software can display FLARM traffic on the moving map display. In addition to knowing where your PowerFLARM-equipped friends are - the software also displays their climb rate! Therefore, PowerFLARM used together with a PDA becomes a great "remote thermal strength indicator"! Imagine how much fun it would to do a cross-country soaring flight with a another PowerFLARM equipped glider. You wouldn't need to ask him/her "how good is that thermal?" and you would know exactly where he/she is at all times. Below are screen captures of the "FLARM Radar" in SeeYou Mobile and pocket*StrePla. Both SeeYou Mobile and pocket*StrePla can display not only the traffic, but also a track showing where each target has been in the last few seconds, with the track colored to indicate whether it was in lift or sink. They also offer pop-up warning windows for urgent alerts. Of course, there is currently a very heated debate going on in the USA regarding whether it should be legal to use FLARM to keep track of competitors and their climb rates in soaring competitions. However, it is possible for you and your competitors to put the FLARM into "Stealth Mode" or "Competition Mode" - as detailed in the document below. I believe that mandating Stealth Mode or Competition Mode would be a bad idea as it reduces the safety level in the competition and increases the work load for contest volunteers (because they would need to verify that the flight log from the FLARM shows that the required mode was enabled. The U.S. Soaring Contest Rules Committee has done a lot of research and had many discussions regarding the use of FLARM in contests in the USA. 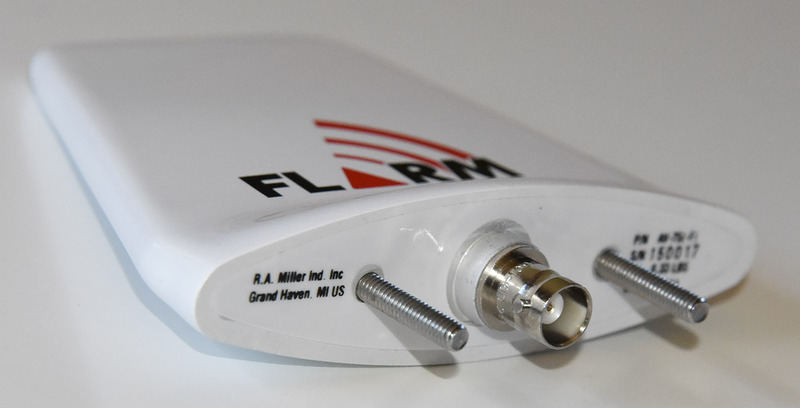 The have published their stance on the use of FLARM in U.S. Contests in 2011. I recommend reading the entire document. It is well written. I agree with all their decisions. The main statements are made at the very beginning of the document: FLARM use will be allowed and encouraged, but not mandated. Stealth mode will not be required in 2011. The PowerFLARM has been approved by the IGC for badge flights up to and including the three diamond badges. It is not approved by the IGC for world records or national records. However, in October, 2015, the SSA approved the use of products like the PowerFLARM for National and State Records (see below). (i-ii) IGC-approval Level. This is for badge flights up to and including the three Diamonds. This type of recorder can also be used in gliding competitions in which the organizers allow this level of IGC-approval. The Levels of IGC-approval are listed in Annex B to the Sporting Code for Gliding, para 1.1.3.3. 6.3. For State Records: a. Documentation may be provided by any means acceptable for FAI Silver badge flights. PowerFLARM units have an optional "IGC Enable" license which determines whether or not that particular PowerFLARM is enabled with IGC Approval for badge flights. Early PowerFLARM units all had the "IGC Enable" set. Then for a few years the IGC Enable license was an extra cost option. All PowerFLARM units sold after February, 2016 have the IGC Enable License included by default. If the IGC enable is not set, flight logs from the unit can be used for the Online Contest (OLC), but not for badges. If the IGC Enable is set, then the flight logs can be used for both OLC and IGC badge flights. Below are some notes on how to determine whether the IGC enable has been set in a particular PowerFLARM. Also, U.S. National Soaring contests require that the PowerFLARM has the IGC Enable set. Some U.S. National soaring contests require that the IGC Enable be set. With this unit you get not only a low cost IGC approved flight recorder, but also a traffic and collision avoidance unit. The FlarmView and FlarmView57 show FLARM, ADS-B and Mode C/S traffic. 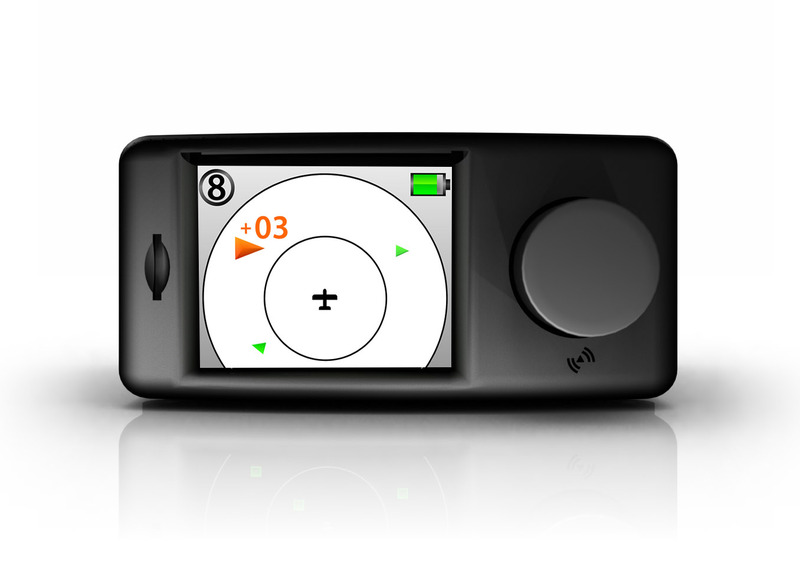 The FlarmView2 also allows navigation to waypoints and around tasks. 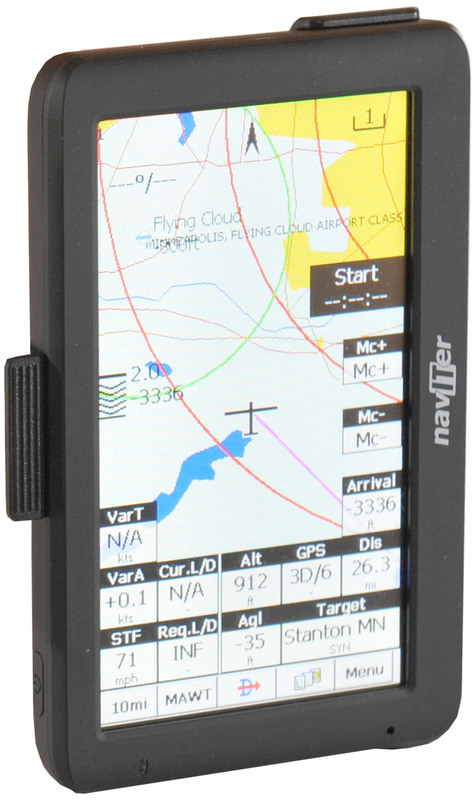 The Nano3 and Nano4 are also fully IGC approved GPS flight recorders. 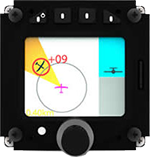 Calibration - The PowerFLARM Core's altimeter is not calibrated at the factory. It will need to be calibrated if you want to use it for badge and record validation. I can calibrate it before shipment for $75. With this unit you get not only a low cost IGC approved flight recorder, but also a traffic and collision avoidance unit. The PowerFLARM Core sends GPS and FLARM traffic data to the Oudie. supplies 12V power for the PowerFLARM Core and 5 V power for the Oudie. Calibration - The PowerFLARM Core's altimeter is not calibrated at the factory. It will need to be calibrated if you want to use it for badge and record validation. If I can calibrate it before shipment for $75. 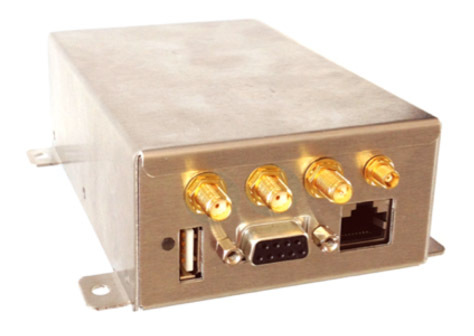 The K6 Mux is a powerful, extremely configurable module which makes it possible to combine data streams from up to 3 devices and send the combined data out to a PDA or similar device. 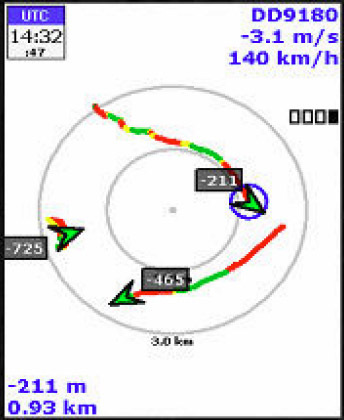 It is very useful, for example, when you want to combine traffic data from a FLARM device with GPS, vario, wind and airspeed data from a flight computer - such as a Cambridge 302 or similar. The K6 Mux makes it possible for the soaring flight software on the PDA to receive all the available data. The K6 Mux also handles baud rate conversions with ease. In the example below, the Cambridge 302 communicates with the K6 Mux at 4800 baud. The PowerFLARM communicates with the K6 Mux at 19200 baud. And the K6 Mux communicates with the PDA at 19200 baud. Details are available on the K6 page. Doesn't fit well in many gliders. To order a product, click on the	 button next to the product. 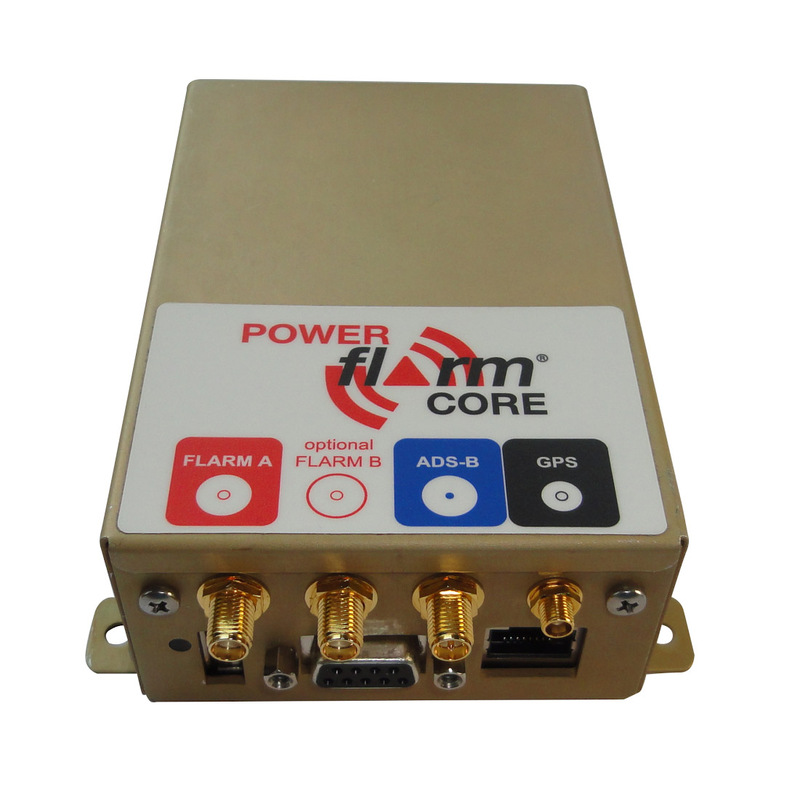 The PowerFLARM Core is a "black box" FLARM unit with remote antennas, but without any remote display or control knob. It transmits and receives FLARM traffic data and also receives and displays ADS-B and Mode C/S transponder traffic. It also features a built-in IGC Approved GPS flight recorder. 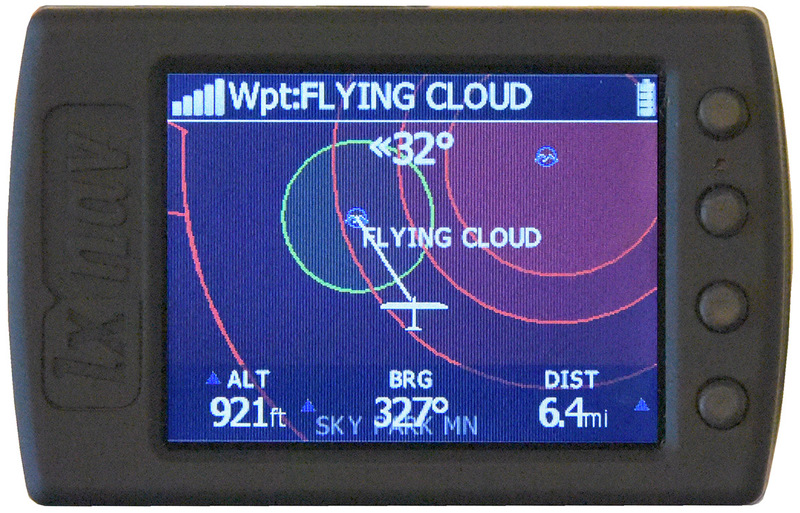 Since the main unit does not have any type of display or user-interface, a dedicated remote FLARM display, or a PDA running soaring flight software, or soaring flight computer with FLARM display capability is required. While the display of FLARM traffic data on a PDA is very nice and useful, it is not as simple, clear, urgent or reliable as a dedicated FLARM display. Therefore a dedicated FLARM display of some kind is highly recommended. The PowerFLARM Core does not include provisions for internal batteries so it must be powered externally. Due to the need for an external display, the PowerFLARM Core has an additional data output port (when compared with the PowerFLARM Portable). 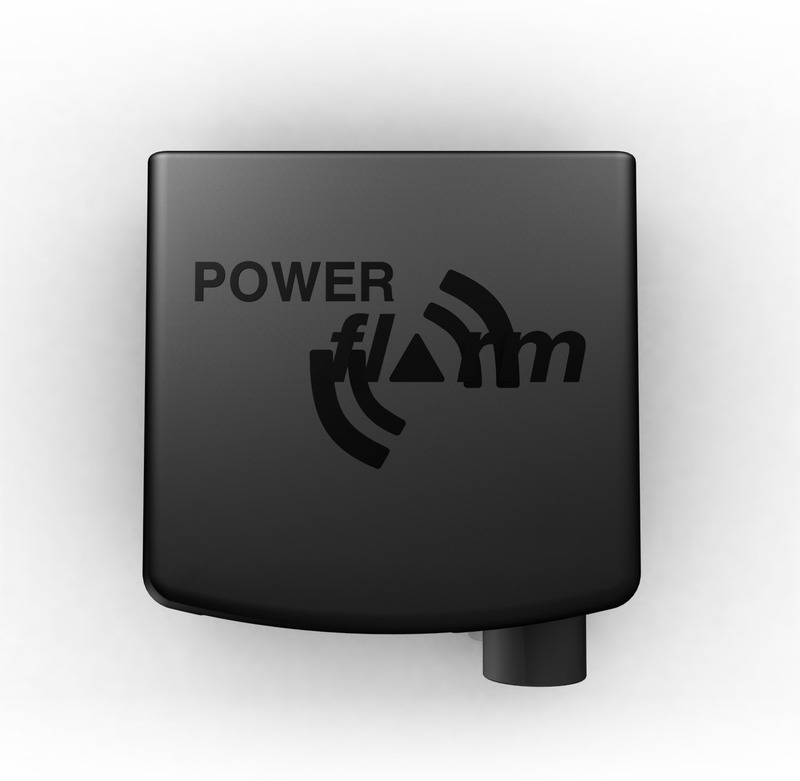 Since the "black box" is normally mounted out of reach, the PowerFLARM Core includes a panel-mountable USB port - to be used with a USB Flash Drive. Several display options are available. ADS-B Traffic Reception – ADS-B traffic position and relative altitude are displayed on the PowerFLARM display. Mode S Transponders – Nearby Mode S transponders are displayed on the PowerFLARM display. Since direction is not known, the traffic is displayed as a ring around the glider. 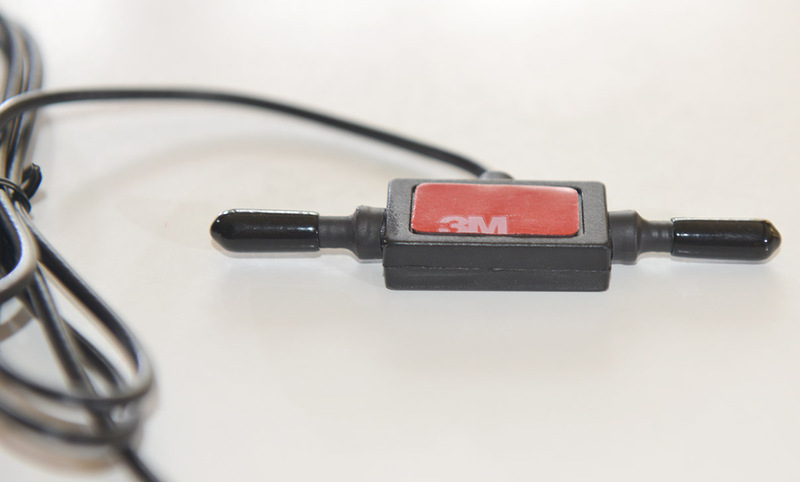 Mode C Transponders – Nearby Mode C transponders are displayed on the PowerFLARM display. Since direction is not known, the traffic is displayed as a ring around the glider. Logger Calibration - The PowerFLARM Portable is delivered without a logger altimeter calibration data sheet. I can calibrate it before shipment for $75 ($95 normally). You can select the optional calibration at check-out..
Garmin TIS Interface Enable - This can be enabled for $95. 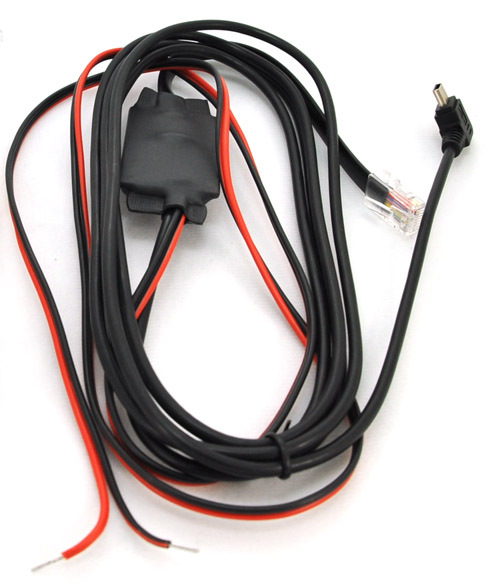 Cable-PFLARM-Pwr-DB9m-2, Cable with DB-9m connector to for connection to a PowerFLARM Core's DB-9f port, 12V power leads are also provided for powering the PowerFLARM Core and connected accessories with 12V. 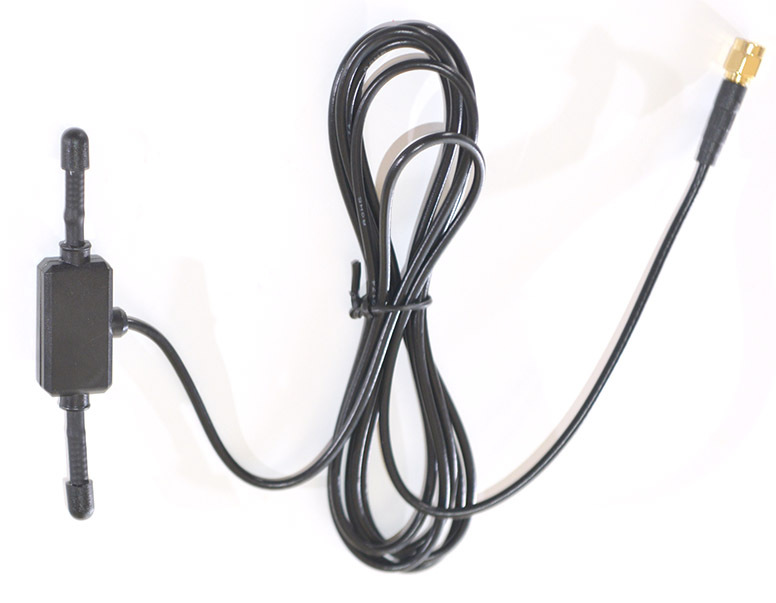 Cable-PFLARM-Pwr-DB9m-RJ45-0p3 Cable for connecting both 12V power and a remote device to the PowerFLARM Core's DB-9 port. 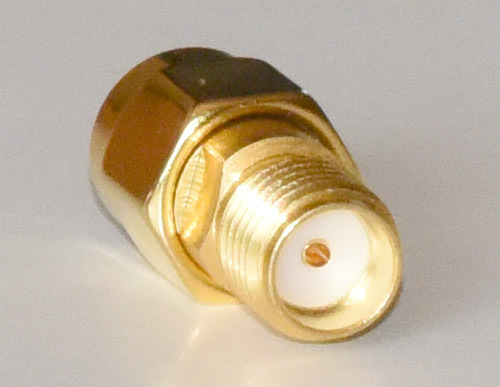 An RJ-Coupler-RJ45-RJ45 is usually required and not included. 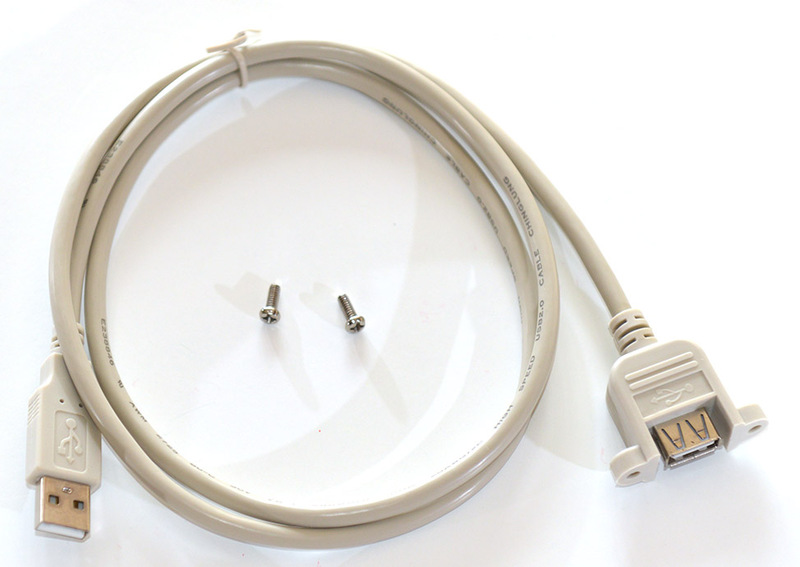 This cable works great for connection to an SN10 which had previously been connected to a Volkslogger's RJ45 port. It can also be used to connect a remote FLARM display. 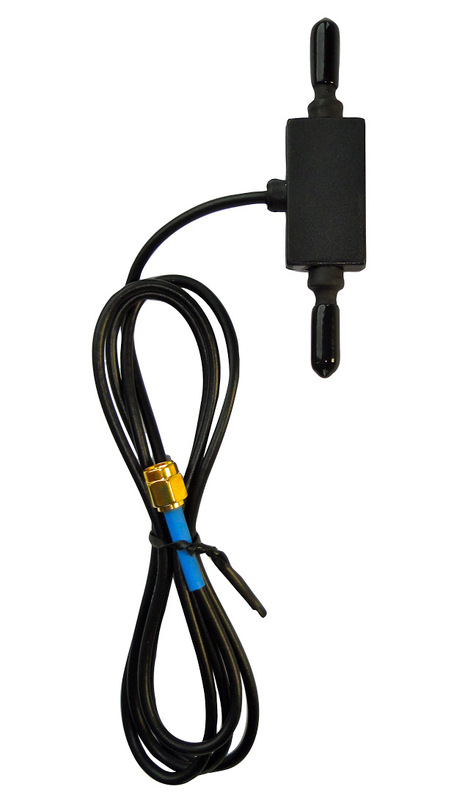 Cable-PFLARM-Pwr-DB9m-S7-0p5, Cable, PowerFLARM DB-9 port to 12V power leads and RJ12 6-pin connector for LXNAV S7, S8 or S80 GPS port, or LX Navigation EOS or Zeus FLARM port. 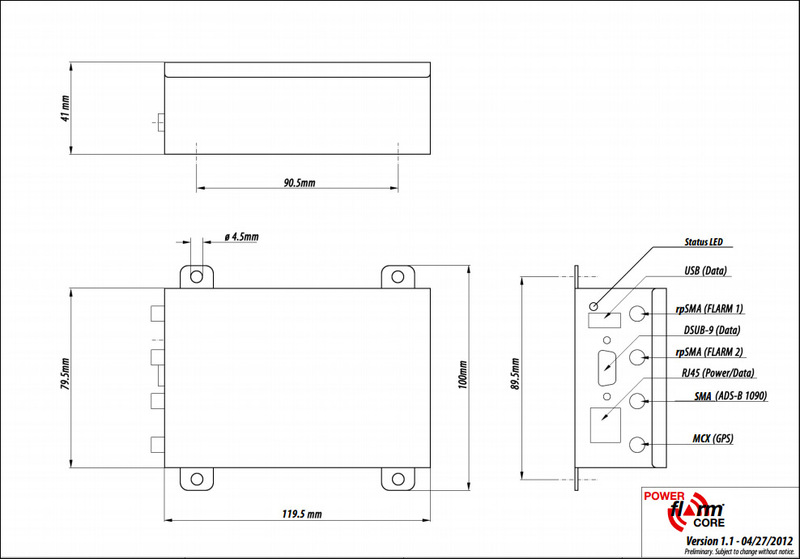 12V power leads are also provided for powering the PowerFLARM Core with 12V. This cable does not pass 12V power from the S7, S8 or S80 to the PowerFLARM Core. The PowerFLARM Portable has a built-in display and control knob, attached antennas, and internal battery. It can also be powered with external power. It is the perfect portable solution for use in multiple gliders and towplanes. A microSD card slot is included in the front of the unit for flight log and other data transfers. I think the photo makes it look larger than it really is. To get a good feel for its size I highly recommend printing and building the PowerFLARM Paper Model. Be sure to set the page scaling to "None" (not "Reduce to Printer Margins" or "Fit to Printer Margins") when printing it. Audio Output Enable - The built-in audio output port for sending FLARM alarms (beeps only) to an aviation headset is enabled by default. Logger Calibration - The PowerFLARM Portable is delivered without a logger altimeter calibration data sheet. I can calibrate it before shipment for $75 ($95 normally). You can select the optional calibration at check-out. 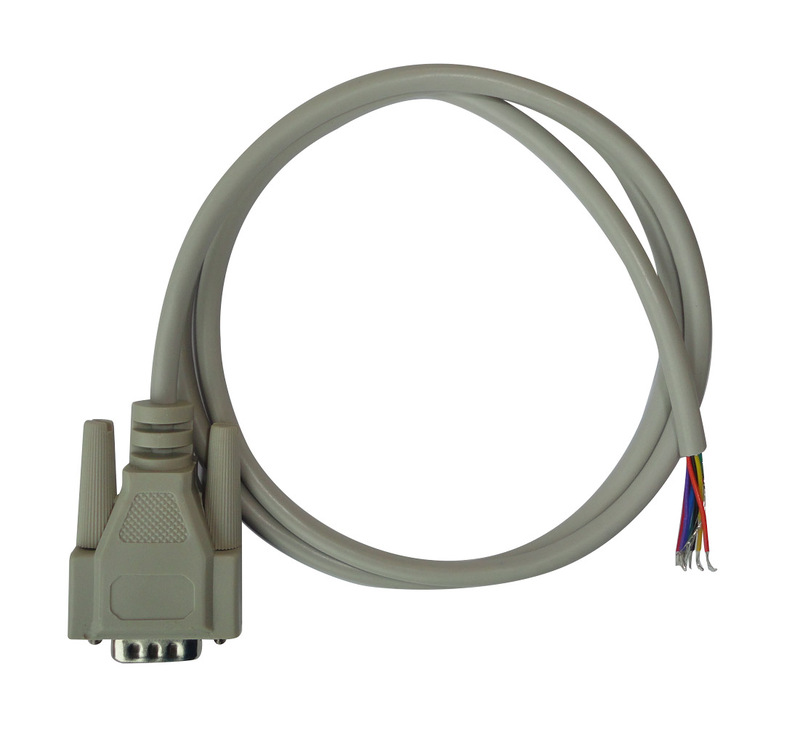 Cable-PFLARM-Pwr-RJ45-2, Cable with RJ45 8-pin connector to for connection to a PowerFLARM's RJ45 port, 12V power leads are also provided for powering the PowerFLARM with 12V. 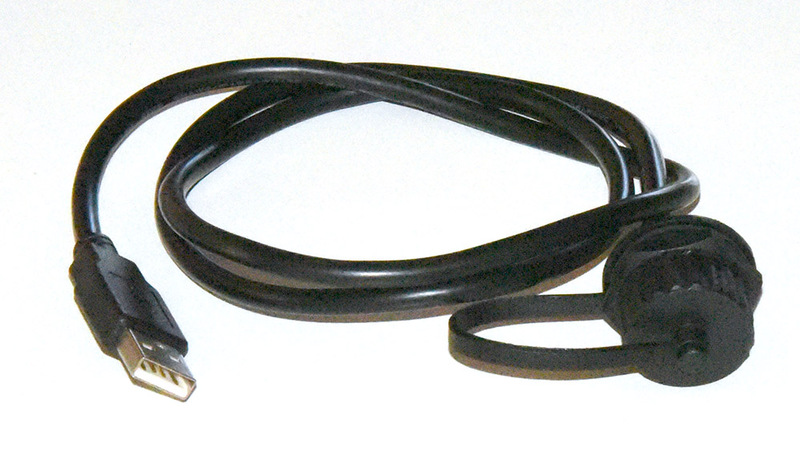 Cable-PFLARM-Pwr-Barrel-2, Cable with male barrel connector for connection to the Portable's 12V female power port, 12V power leads are also provided for powering the PowerFLARM with 12V. Cable-PFLARM-Pwr-RJ45-RJ12-1 - Cable, PowerFLARM RJ45 port to remote FLARM display, 12V power leads are also provided for powering the PowerFLARM Portable with 12V. All PowerFLARM Portable units and PowerFLARM Core units (hardware version 1.1 or greater) are supplied with audio output circuitry. 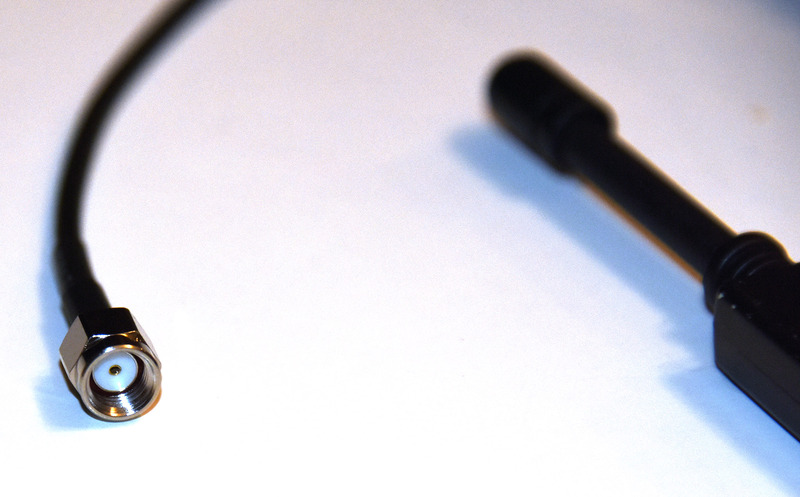 The audio output is used to send beep tones to an aviation headset. The beep tones are intended to alert you to traffic and get you to look at your FLARM display. The audio output functionality is normally only needed in motorgliders when the pilot is using a headset. It is not normally needed in sailplanes because the traffic warning sounds are generated by the PowerFLARM Portable unit or remote FLARM display and most sailplane pilots don't wear headsets. The audio output functionality is not enabled by default. It can be enabled at any time by purchasing this enable license. The license is provided in a small text file that permanently enables the Audio Output functionality in a particular PowerFLARM unit. I save backups of the enable files on my computer, but I recommend that you back it up too - just in case it is ever needed again. The enable key must be ordered for your specific PowerFLARM unit - so please allow 48 hours for the reception of the enable file. Purchase this enable key - Your FLARM's hardware serial number (not the IGC serial number) is required when you order. You will receive an email with the enable file within about 48 hours. It is a very small text file. Save the enable file to a USB flash drive (PowerFLARM Core) or microSD memory card (PowerFLARM Portable). You can verify that the upgrade has been successful by looking at the contents of the "FLARMDEV.CSV" file that is saved to the USB flash drive or microSD memory card after the upgrade has been completed. The .CSV file can be opened in Notepad or Excel. 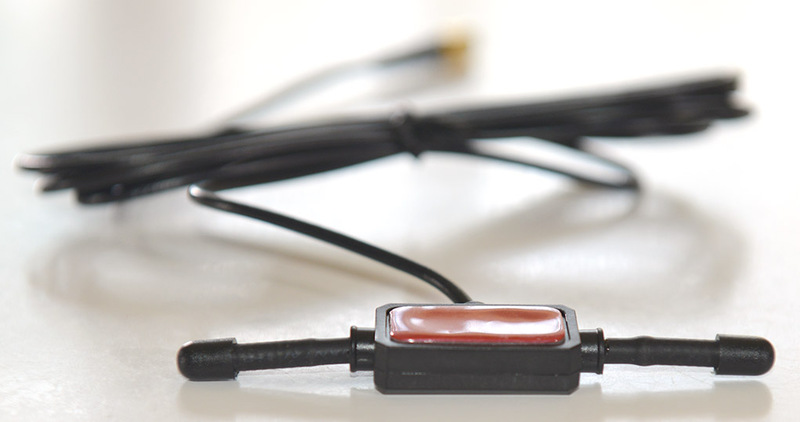 All PowerFLARM units are supplied with built-in microphones for recording engine noise level - as required for motorglider badges and records and soaring contests. However, the ENL functionality is not enabled by default. It can be enabled at any time by purchasing this enable license. Note: The ENL feature can only be enabled after PowerFLARM-Enable-IGC is enabled. The license is provided in a small text file that permanently enables the ENL functionality in a particular PowerFLARM unit. I save backups of the enable files on my computer, but I recommend that you back it up too - just in case it is ever needed again. 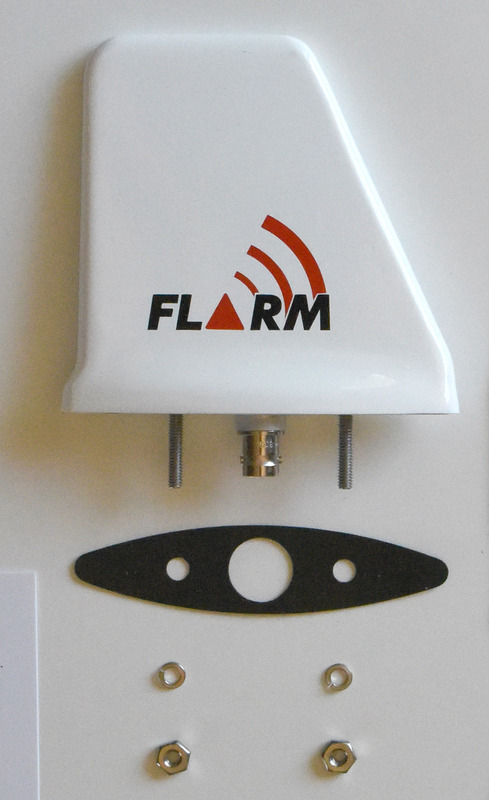 All PowerFLARM units are supplied with a "FLARM B" antenna port. 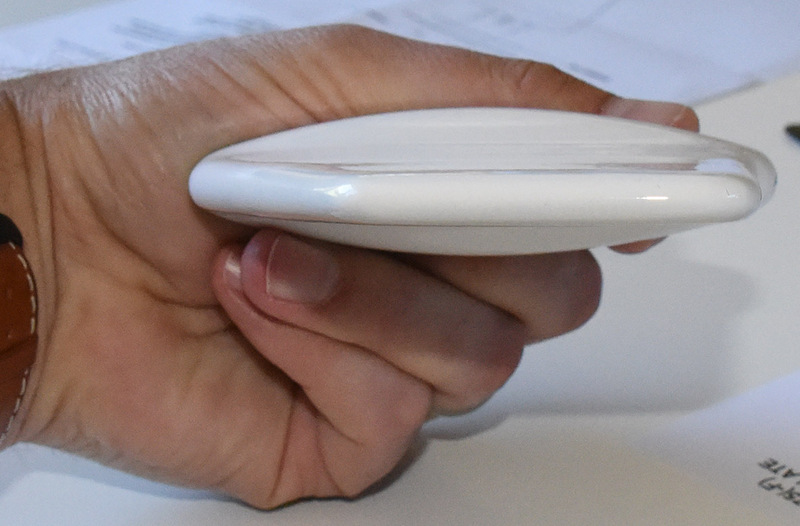 It can be connected to a 2nd FLARM antenna (receive only) which can be mounted in a location which improves all-around FLARM reception. 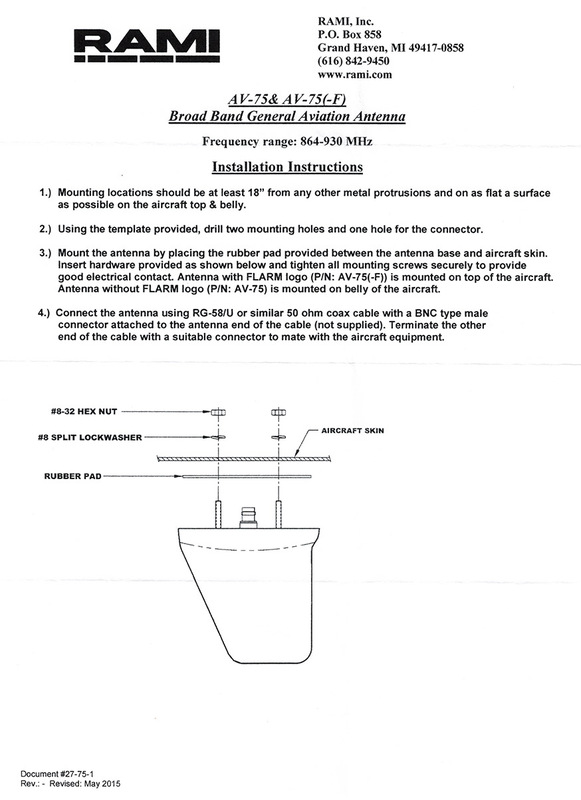 However, the FLARM B antenna port is not enabled by default. It can be enabled at any time by purchasing this enable license. 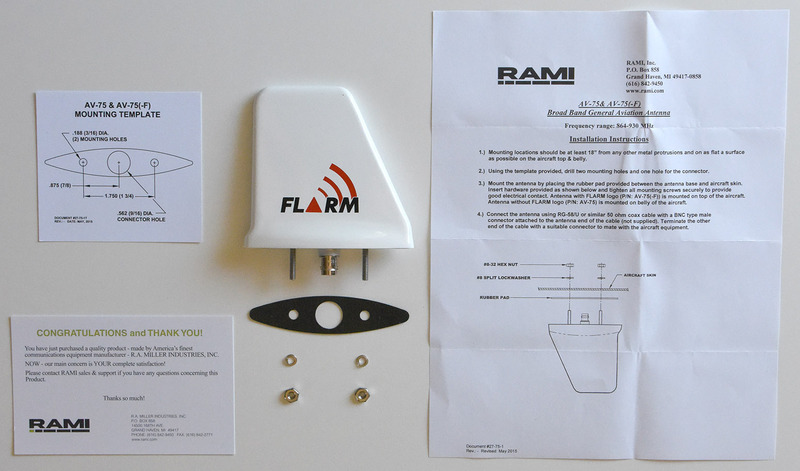 The license is provided in a small text file that permanently enables the FLARM B antenna port functionality in a particular PowerFLARM unit. I save backups of the enable files on my computer, but I recommend that you back it up too - just in case it is ever needed again. 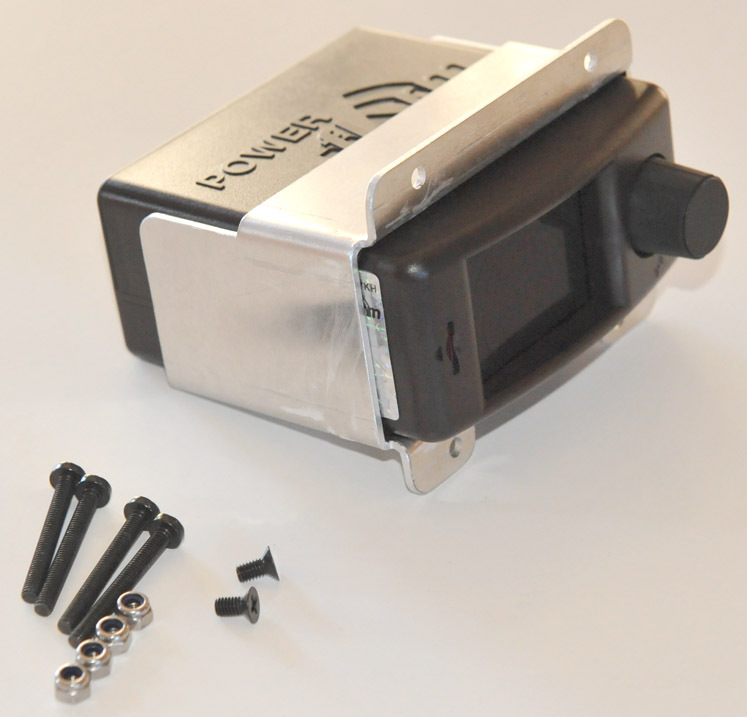 All PowerFLARM units are supplied with built-in GPS flight recorder. However, in some versions, the flight recorder is not IGC enabled - so flight logs generated by the unit can't be used to support a badge or record claim. IGC functionality can be enabled at any time by purchasing this enable license. *** This option is included as standard with all PowerFLARM Core and Core Pure units purchased after February 1, 2016. 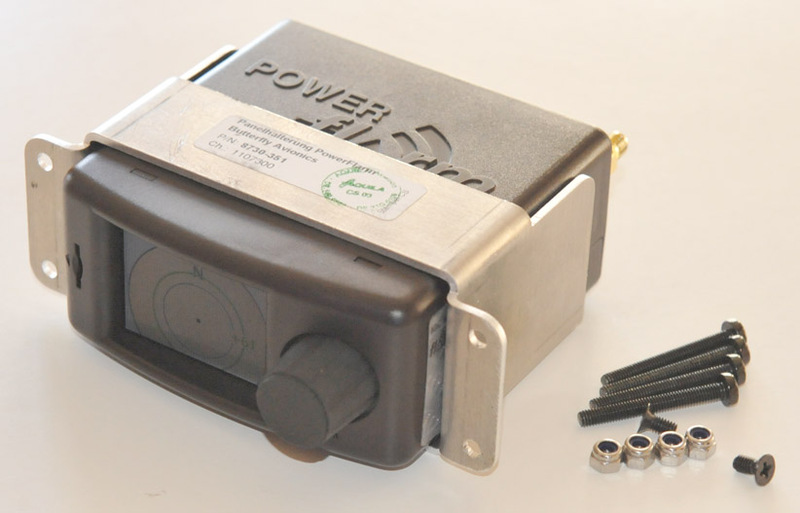 It is not included as standard with PowerFLARM Portable units. Note: Flight logs generated by the PowerFLARM without the IGC feature enabled can be used in the OLC (Online Contest). They may or may not be accepted at a soaring contest. The license is provided in a small text file that permanently enables the IGC functionality in a particular PowerFLARM unit. I save backups of the enable files on my computer, but I recommend that you back it up too - just in case it is ever needed again. 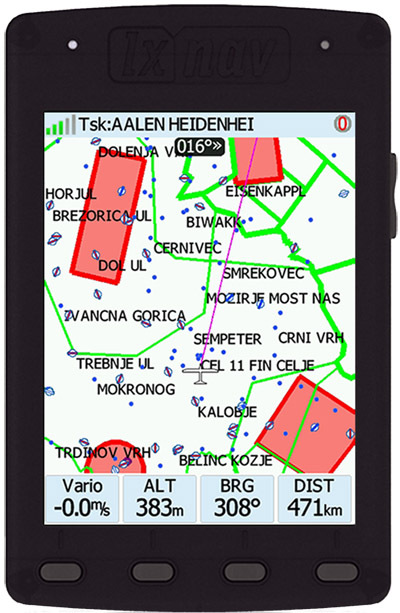 All PowerFLARM units are capable of sending Garmin TIS data out to Garmin and compatible devices. However, the Garmin TIS interface is not enabled by default. It can be enabled at any time by purchasing this enable license. The license is provided in a small text file that permanently enables the Garmin TIS functionality in a particular PowerFLARM unit. I save backups of the enable files on my computer, but I recommend that you back it up too - just in case it is ever needed again. Connects directly to a PowerFLARM Core's ADS-B port. Note: For maximum range, the antenna should be mounted pointing up and down (oriented vertically). Note: It is important that the antenna does not touch the glider canopy. 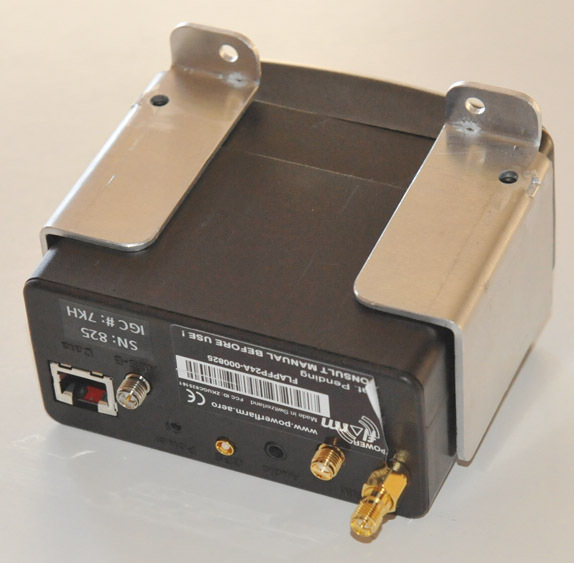 An Adapter-SMA-SMARP is required to connect the antenna cable's connector to a PowerFLARM Portable's ADS-B port. Has a 3M Adhesive strip on one side for easy attachment. 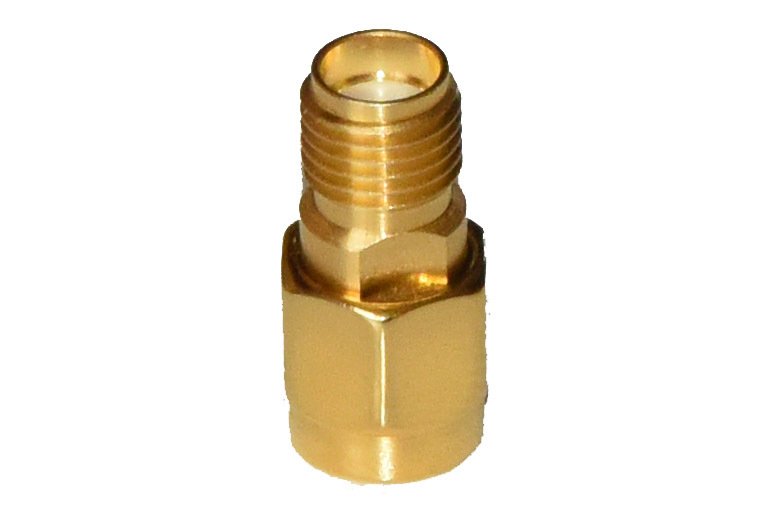 Adapter with female SMA threads on one end and male SMA threads on the other end and holes for pins (no pins) in both ends. Can be used to connect a PFLARM-Ant-ADS-B-Dipole antenna to a PowerFLARM Portable's ADS-B port. This antenna does not fit onto the ADS-B port on a PowerFLARM Core because the polarity of the connector is wrong. For use on "B" FLARM port on PowerFLARM Portable units. 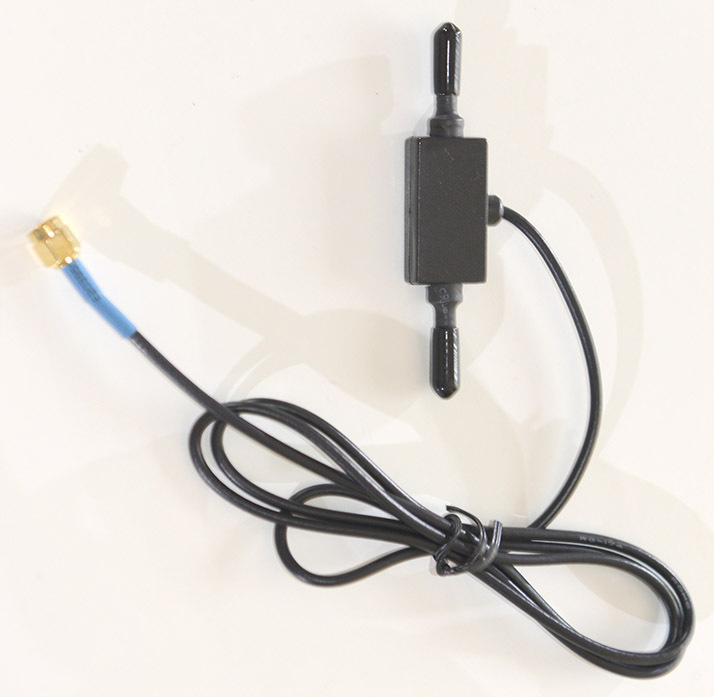 This antenna does not fit onto either FLARM port on a PowerFLARM Core or the FLARM "A" port on a PowerFLARM Portable because the polarity of the connector is wrong. 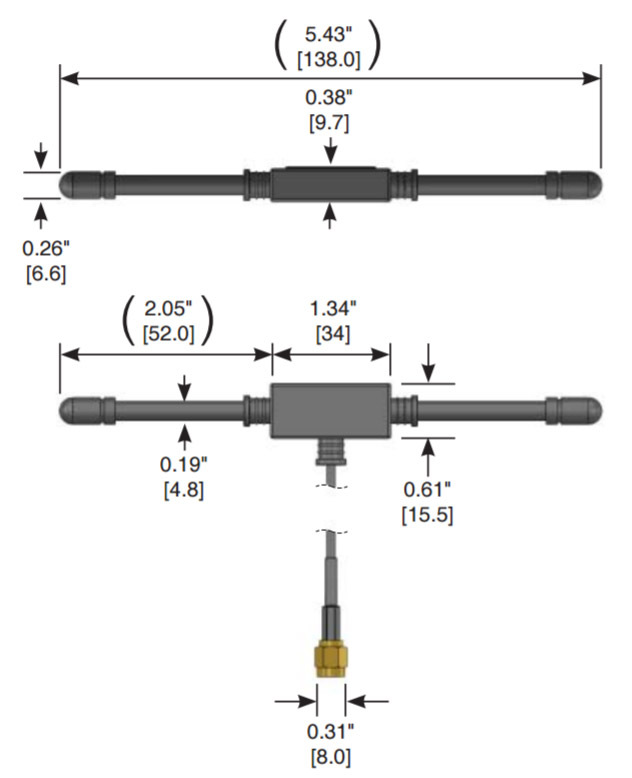 This antenna does not fit onto the FLARM "B" port on a PowerFLARM Portable because the polarity of the connector is wrong. 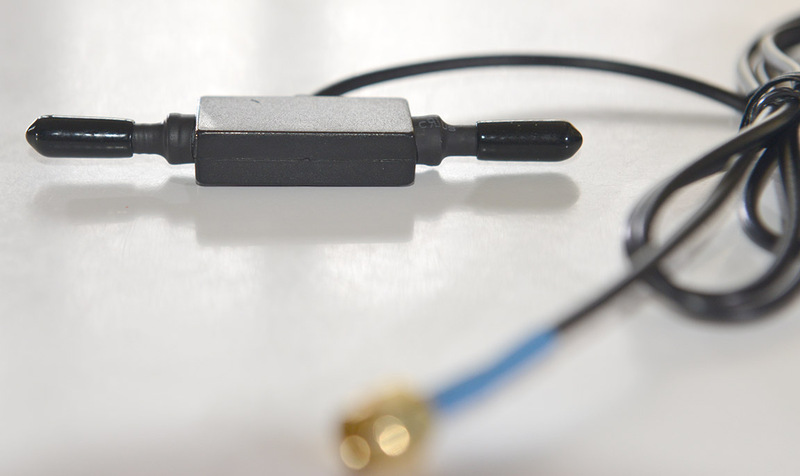 This antenna is a new, longer version of the standard PowerFLARM Core FLARM dipole antenna (immediately above). 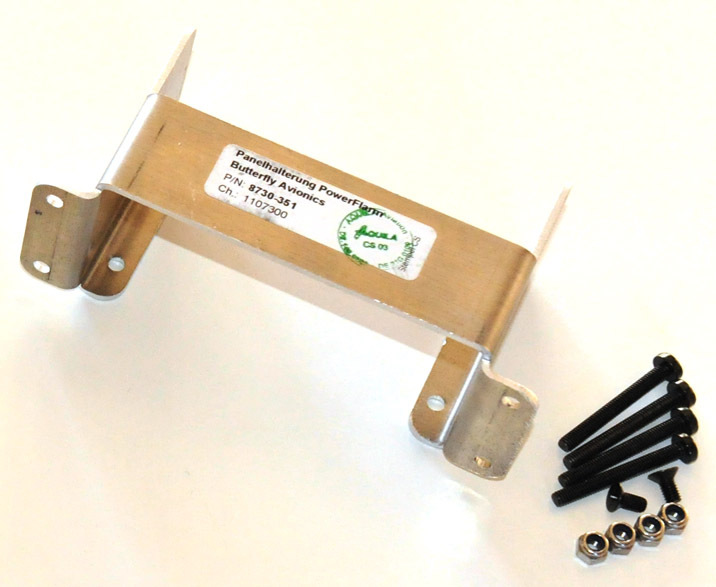 The antenna manufacturer says that it has better range than the standard length antenna that is supplied with the PowerFLARM Core. However, the long length may make it more difficult to fit into some sailplanes. 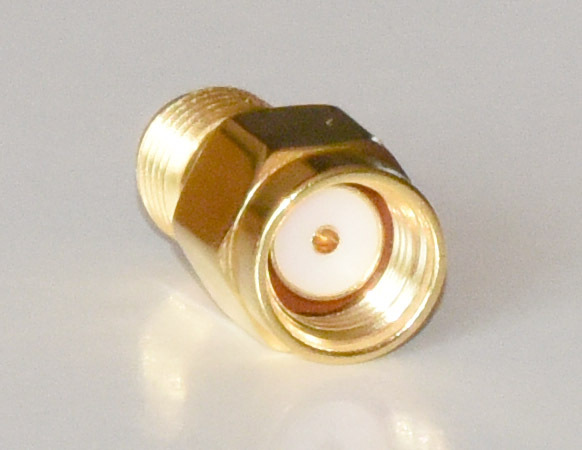 For use on either FLARM port on a PowerFLARM Core or the FLARM "A" port on a PowerFLARM Portable. 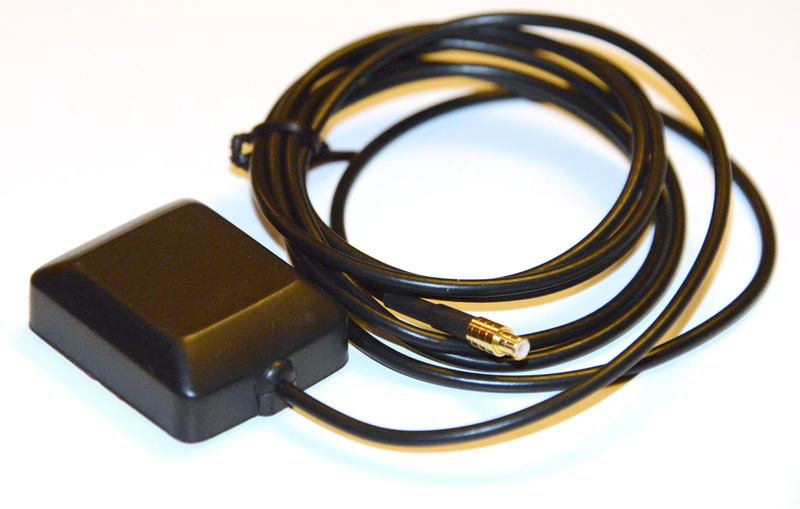 Works great as an external FLARM A transmit/receive antenna or FLARM B receive-only antenna. Designed to work well for all FLARM frequency ranges. It does not work as an ADS-B 1090 MHz antenna. 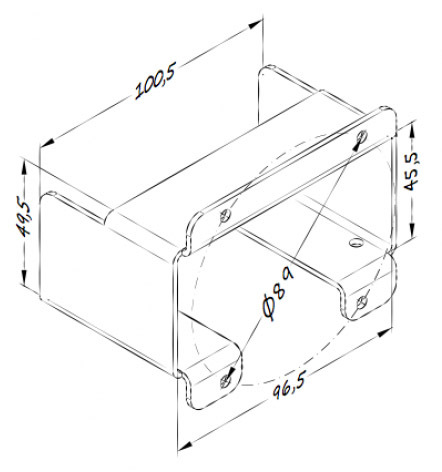 The antenna housing is constructed of anacrylonitrile-styrene-acrylic (ASA) shell. The white color allows maximum performance without losses due to color pigments or unseen dirt. 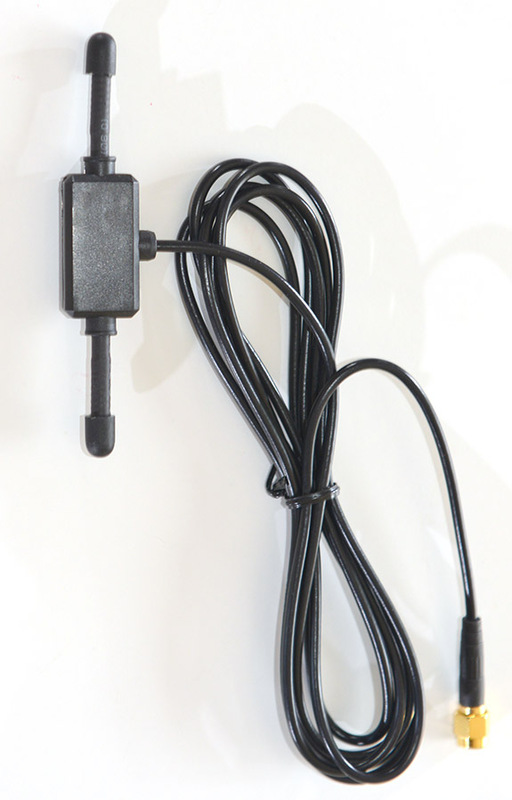 The antenna is supplied with cellular neoprene mounting pad and hardware. The antenna is designed to operate at speeds up to 350 mph and altitudes up to 50,000 feet. 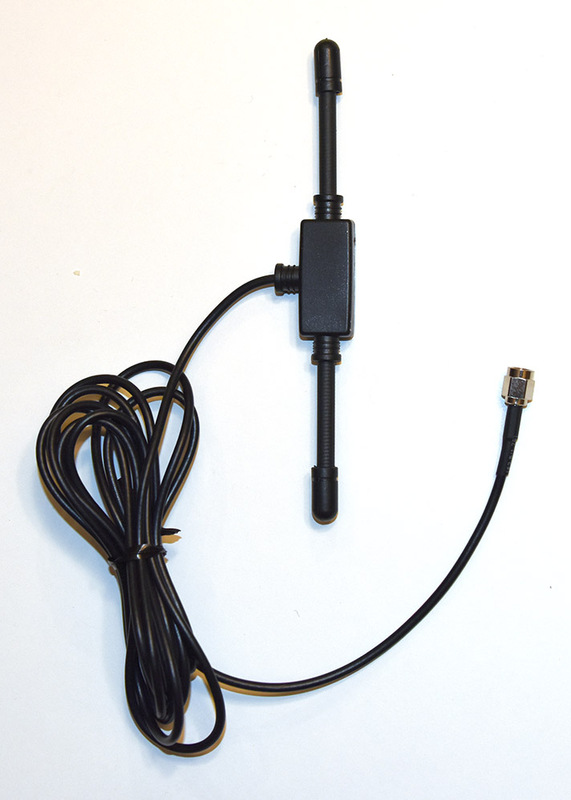 This antenna is made by RAMI (R.A. Miller Industries, Inc.) and has RAMI part number AV-75 (-F). This part is available only through FLARM and their dealers. 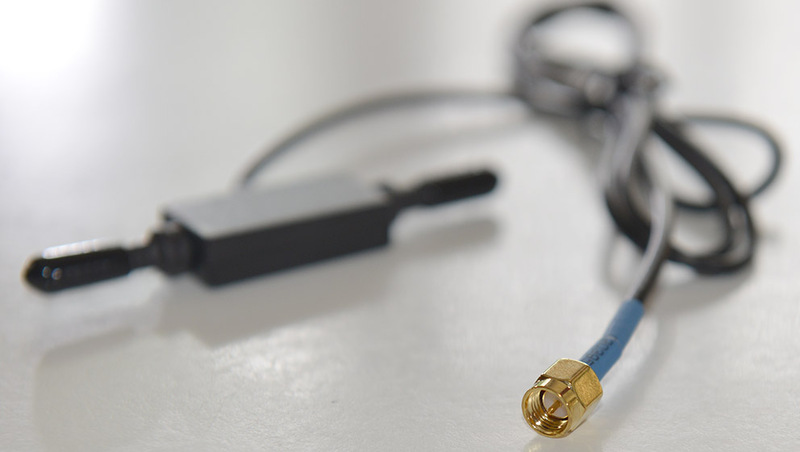 SMA connector for connection to PowerFLARM Portable FLARM B port. I talked to Ben Ennenga at RAMI about external antenna ground planes. Some interesting notes from that conversation are below. Thank you Ben for the friendly and helpful support! 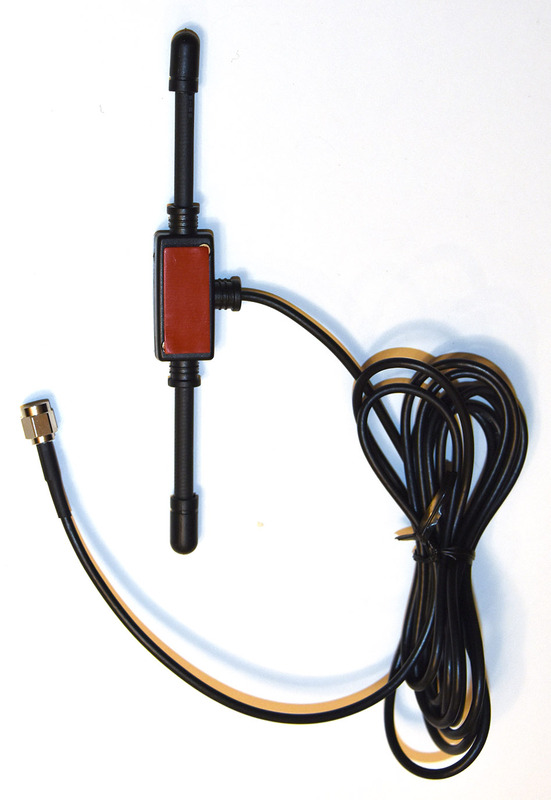 A ground plane is required with both rod style and shark fin style transponder and FLARM antennas. The smallest recommended ground plane would be 12 inches in diameter (6 inches radius). A ground plane works about equally well regardless of whether it is made from a solid plate (such as aluminum) or instead made using 2 wires in a "+" arrangement. In either case, the radius should be at least 6 inches. When working with carbon fiber glider fuselages, the antenna must be mounted on the outside of the fuselage, but it is OK to mount the ground plane on the inside. The mounting screws for the antenna are connected to the antenna ground. 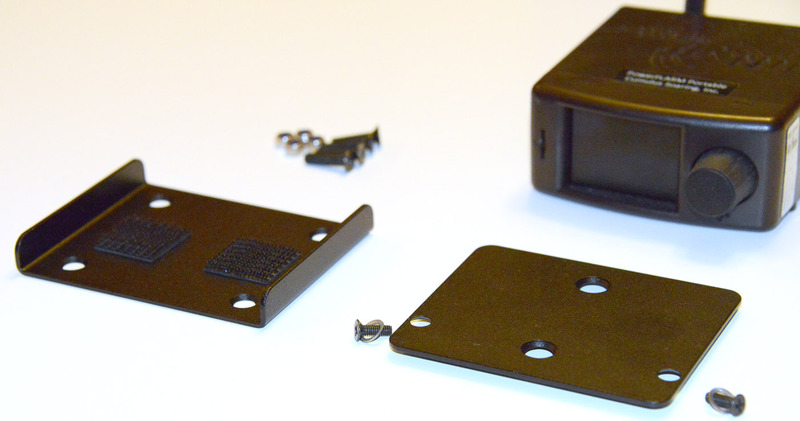 Therefore, you can connect the ground plane to either or both of the mounting screws. It is OK for the ground plane wires ("+" configuration) to curve and follow the inside of the glider fuselage. This rugged yet lightweight aluminum mounting bracket makes it easy to mount a PowerFLARM Portable on top of any flat surface - such as the top of the instrument panel cover. 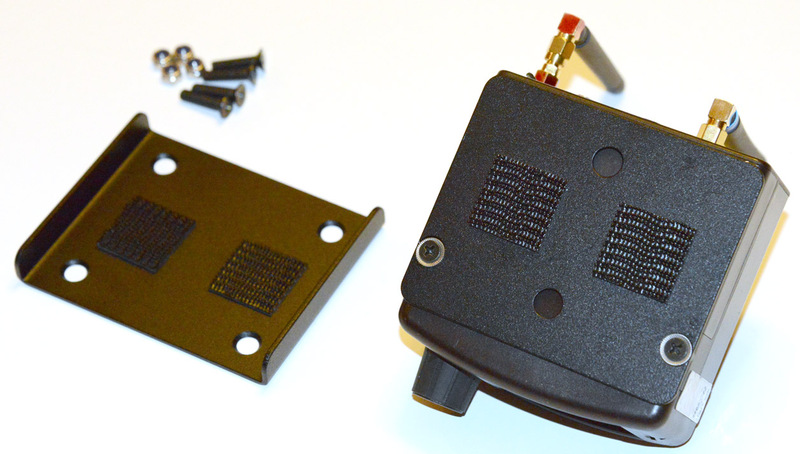 It includes 2 parts, a flat plate the attaches to the bottom of the PowerFLARM Portable using 2 screws, and a "U" shaped mounting base that mounts to the flat surface with 4 screws and nylon lock nuts. 3M Dual-Lock is used to secure the PowerFLARM Portable and its mounting plate to the mounting base. 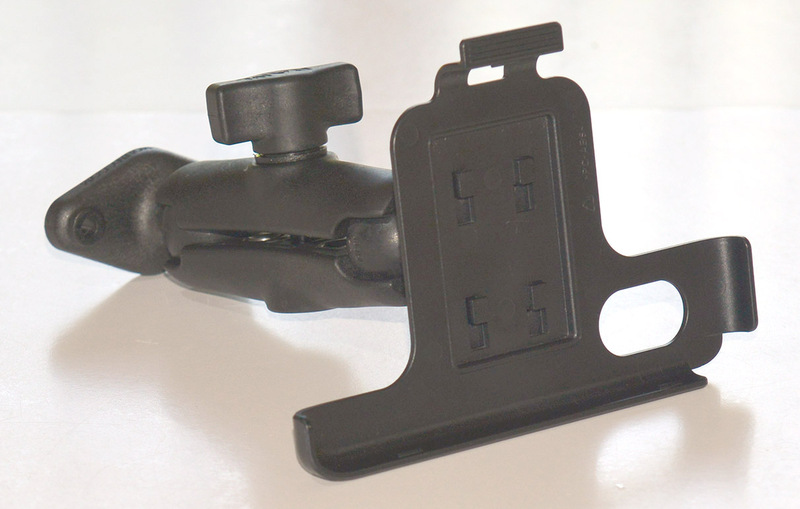 It may be easier and less expensive to use 3M Dual-Lock fasteners to secure the PowerFLARM Portable directly to the mounting surface, but that would cause the bottom of the PowerFLARM Portable and the top of the mounting surface to get "gunky" from the adhesive on the Dual-Lock (which is very difficult to remove). Also, since the majority of the bottom of the PowerFLARM Portable is taken-up by the battery compartment cover (which is not secure enough to use as a mounting surface) this system offers a much more secure solution. 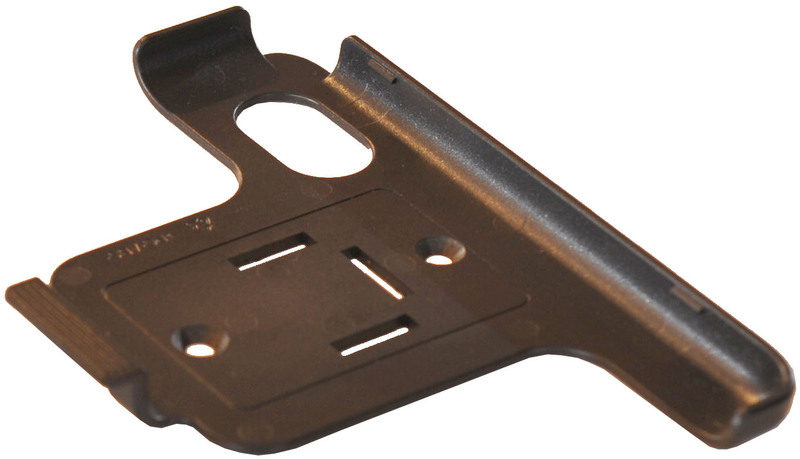 This rugged yet lightweight aluminum mounting bracket makes it easy to mount a PowerFLARM Portable in the instrument panel. 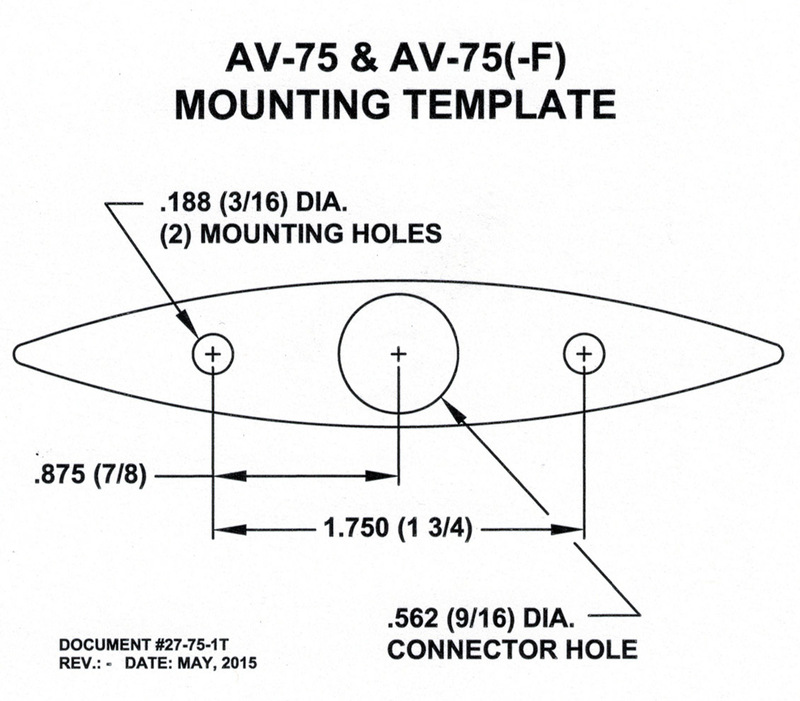 The 4 mounting holes are spaced to match a standard 3 1/8" (80 mm) instrument hole. They are equally spaced on an 89 mm bolt circle. 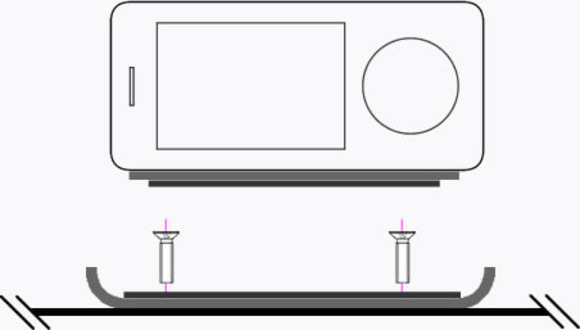 However, the overall width may be wider than other 80 mm size instruments (see dimensions below). Two screws are provided for attaching the mount to the bottom of the PowerFLARM Portable using it's built-in threaded mounting holes. Four screws and nylon locknuts are provided for attaching the mounting adapter to the instrument panel. Note: You will want to remotely mount the PowerFLARM's FLARM and ADS-B/Transponder antennas using an extension cable. I will have them in stock soon in several lengths. 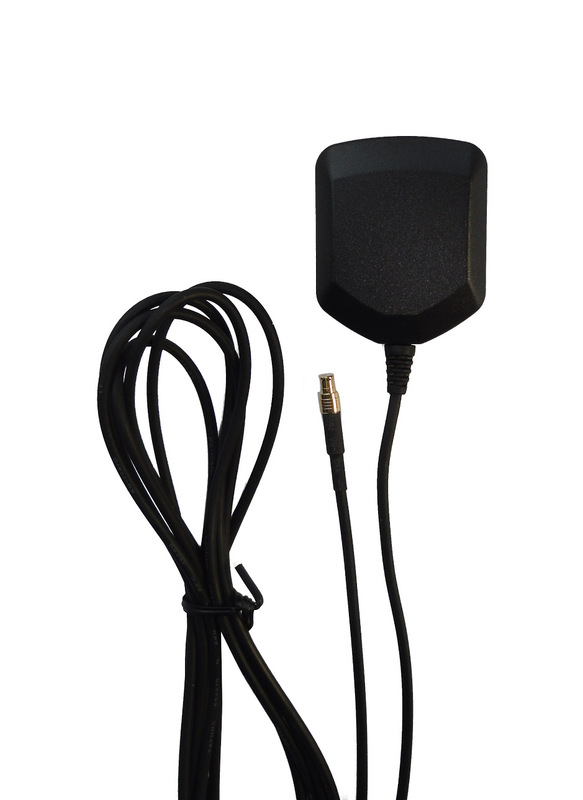 Since the GPS antenna is built-into the PowerFLARM, and it may not get good reception if mounted under other instruments in your panel, you may need to buy a remote GPS antenna. I will stock those soon. If the PowerFLARM is mounted at the top of the panel - you shouldn't need a remote GPS antenna and may not need to remote mount the FLARM and ADS-B/Transponder antennas - if you make a holes for them to stick up through the top of the instrument panel cover. 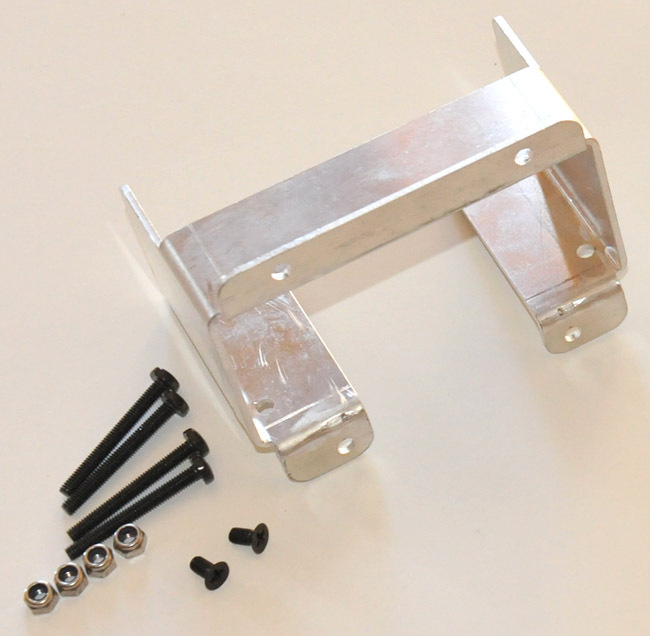 This rugged yet lightweight aluminum mounting bracket makes it easy to mount a PowerFLARM Portable in the instrument panel. Two screws are provided for attaching the mount to the bottom of the PowerFLARM Portable using it's built-in threaded mounting holes. Four screws and nylon locknuts are provided for attaching the mounting adapter to the instrument panel. 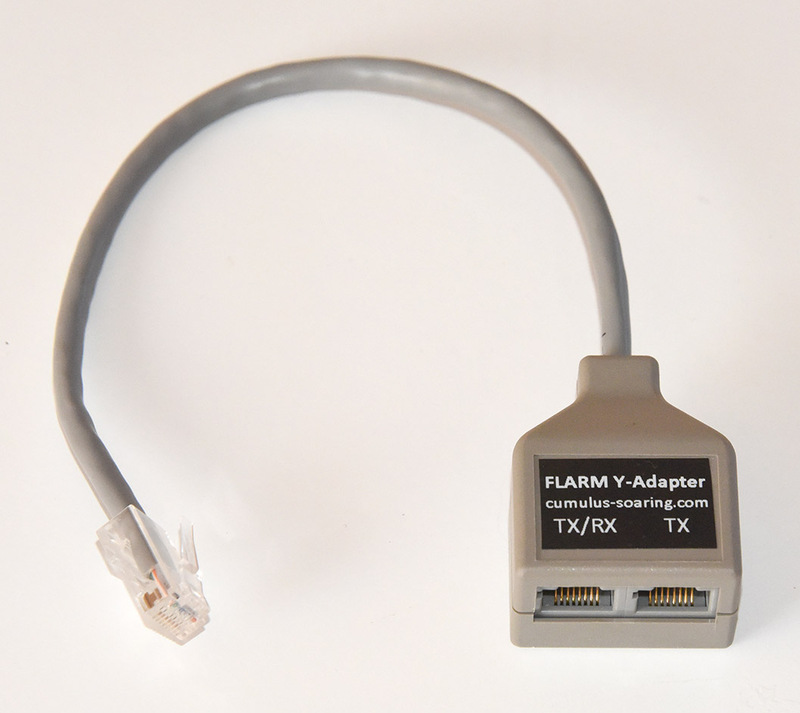 The PowerFLARM Y-Adapter, RJ45 is an RJ45 "splitter". 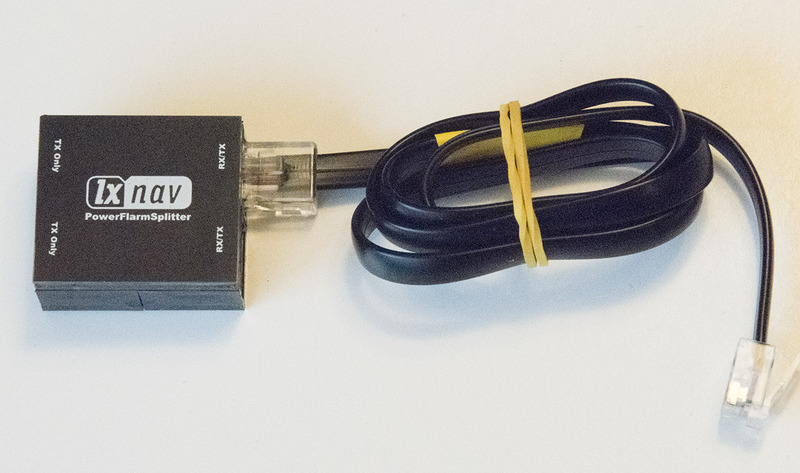 It makes it possible to connect 2 FLARM displays or a single FLARM display and 12V power leads to a single RJ45 port on a FLARM unit. To avoid data collision issues, one of the 2 ports allows data in both directions between the FLARM and display and the other port only sends data from the FLARM to the 2nd display - It does not allow data to be sent from the 2nd display to the FLARM. One display can both send and receive data from the FLARM and the other display can only receive data from the FLARM. 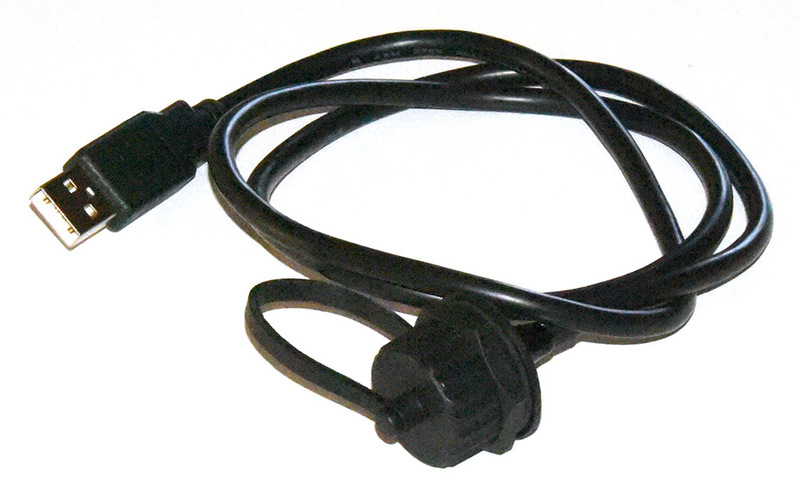 12V and 3.3V power connections are passed through to both ports. 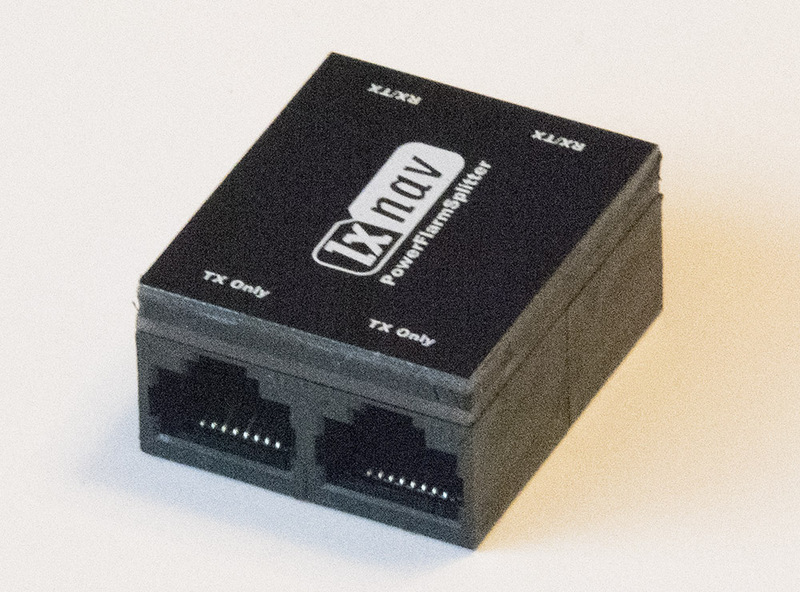 For connecting up to 3 devices to a FLARM with 6-pin RJ12 port - such as a "Classc" FLARM or LXNAV LX80x0 or LX90x0 with built-in PowerFLARM Module. Two ports pass both transmit (TX) and receive (RX) lines. The other 2 ports pass transmit (TX) only. One of the RX/TX ports should be connected to the cable that goes to the FLARM device. The other RX/TX cable goes to a FLARM remote display and can be used to edit parameters (ranges, etc.) in the FLARM unit. The "TX Only" ports send data to additional FLARM displays, but don't allow those devices to send data to the FLARM unit. That avoids the possibility of having two devices try to send data to the FLARM at the same time. 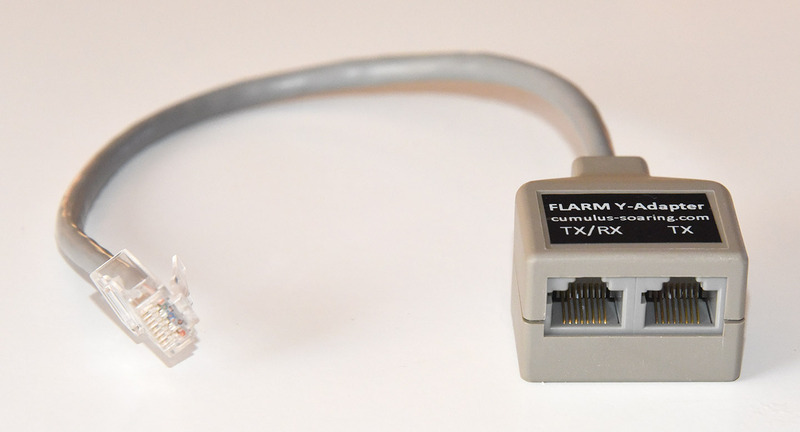 The included cable has an RJ45 8-pin connector for connection to the splitter and RJ12 6-pin connector for connection to the FLARM device. 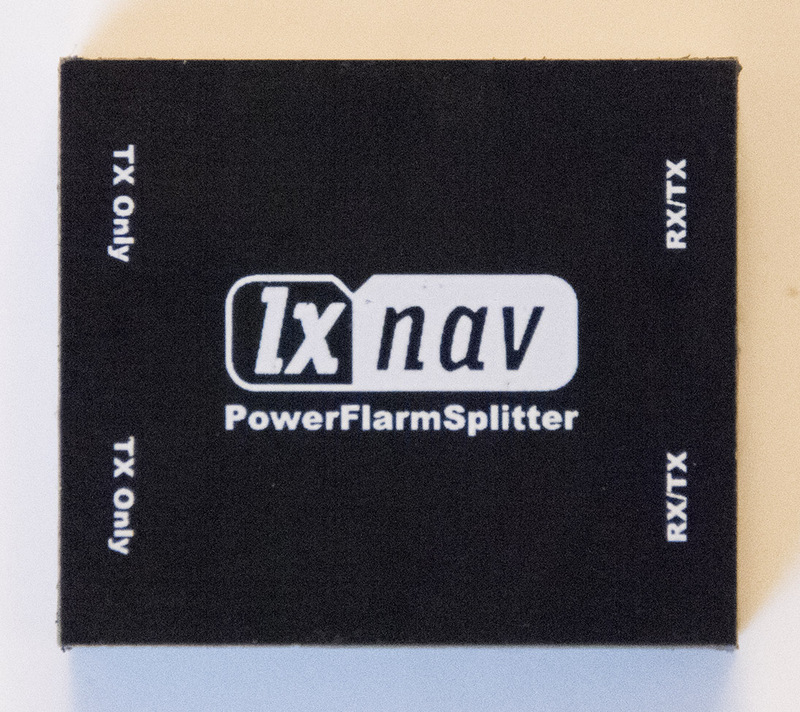 For connecting up to 3 devices to a FLARM with 8-pin RJ45 port - such as a PowerFLARM Core, PowerFLARM Portable, LXNAV FlarmBat, or LXNAV PowerMouse. 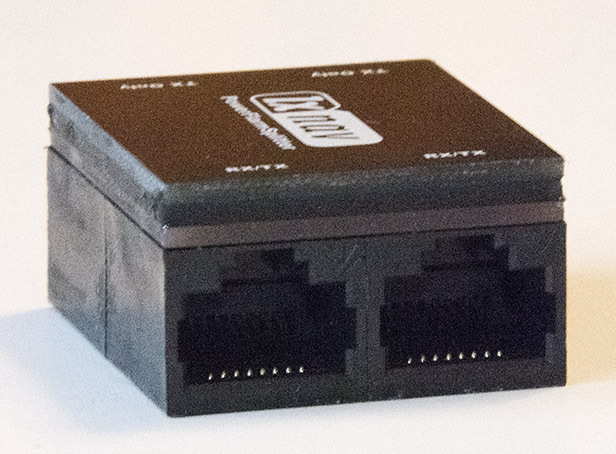 The included cable has 2 x RJ45 8-pin connectors for connecting the splitter to the FLARM device. 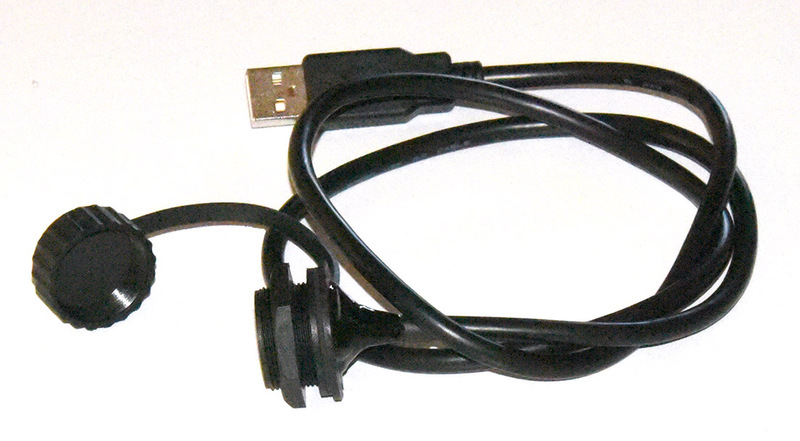 1 m long USB extension cable with male USB connector and panel-mountable rectangular USB female connector. Used to make the USB port on a soaring instrument accessible on the instrument panel. Works great with PowerFLARM Core units. Not compatible with PowerFLARM Portable units. 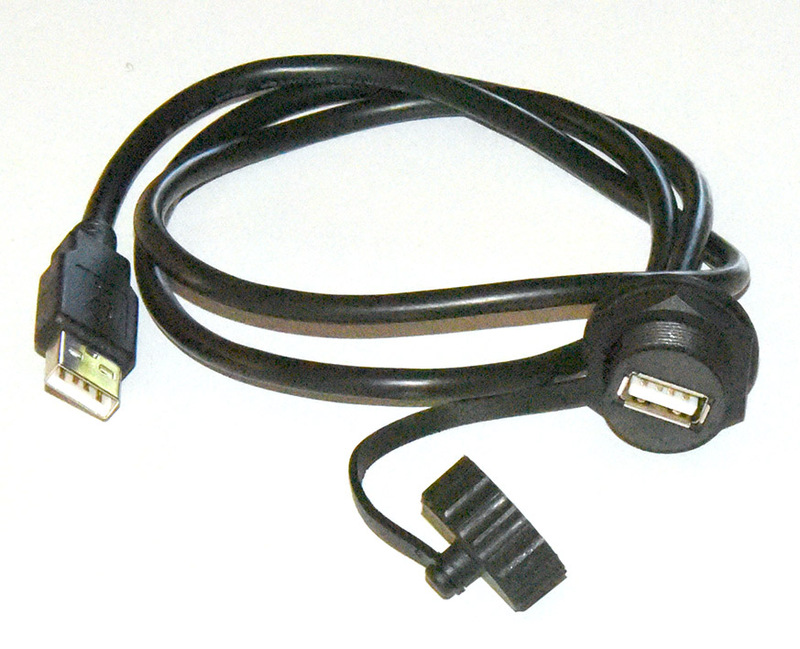 USB extension cable with male USB connector and panel-mountable rectangular USB female connector. Used to make the USB port on a soaring instrument accessible on the instrument panel. Works great with PowerFLARM Core units. Not compatible with PowerFLARM Portable units. The cap can be screwed-on to protect the port. A nut of about 20 mm diameter is used to secure the panel-mounted end into the 20 mm hole in the panel. 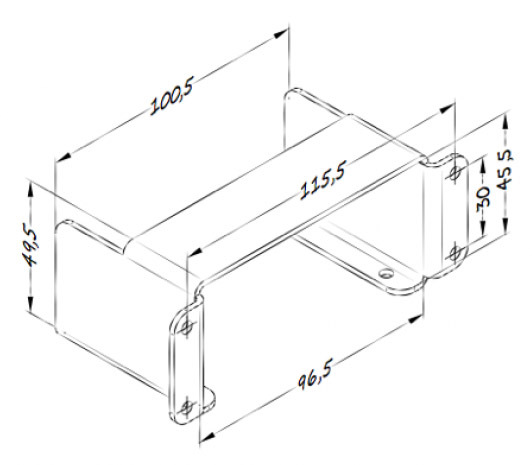 This item is included with all PowerFLARM Core units.